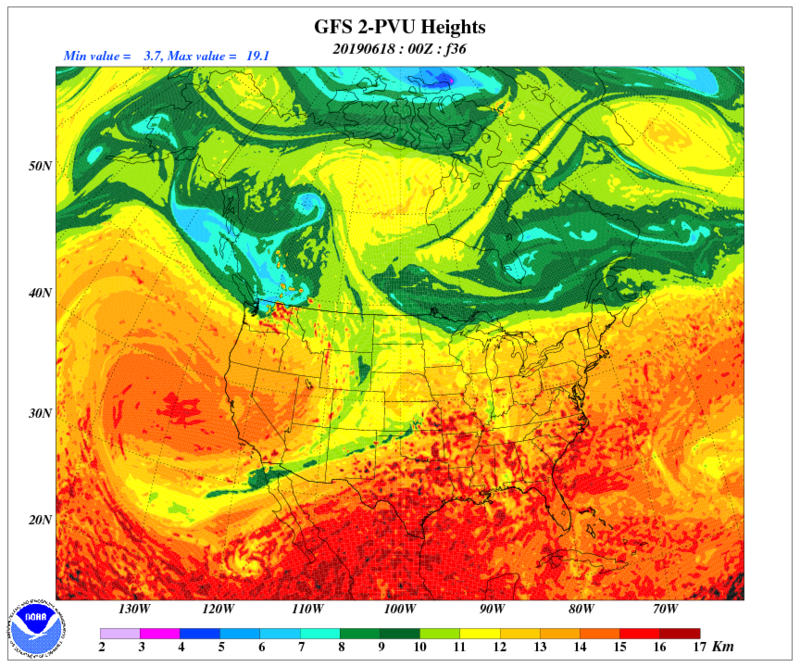 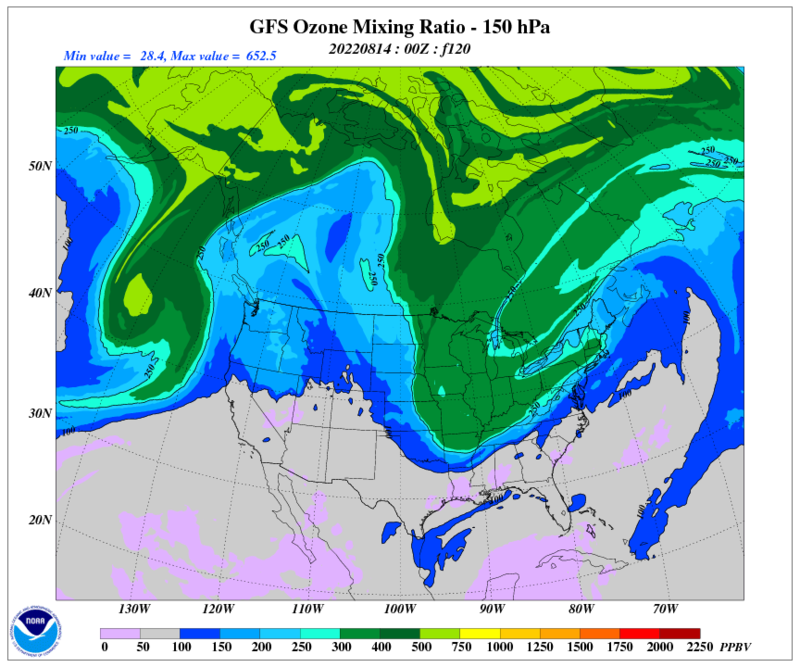 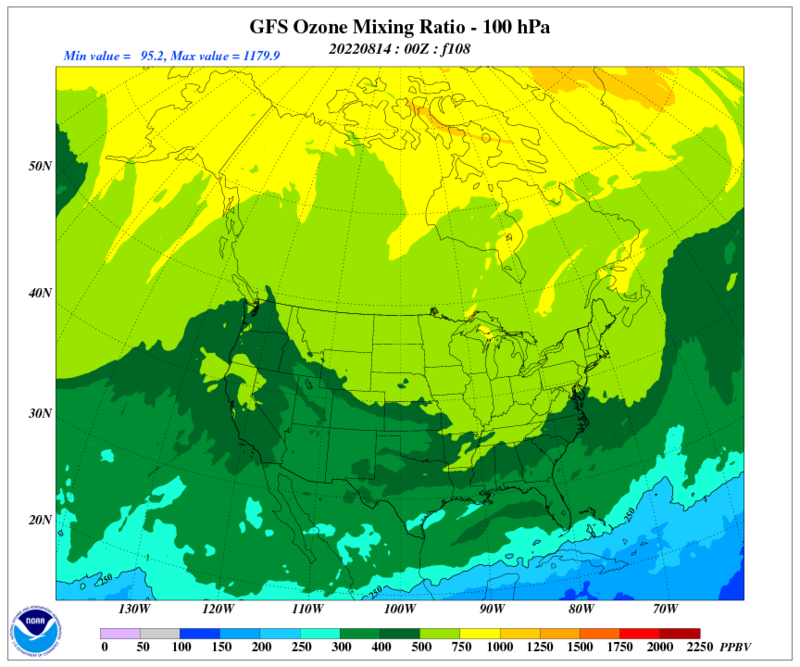 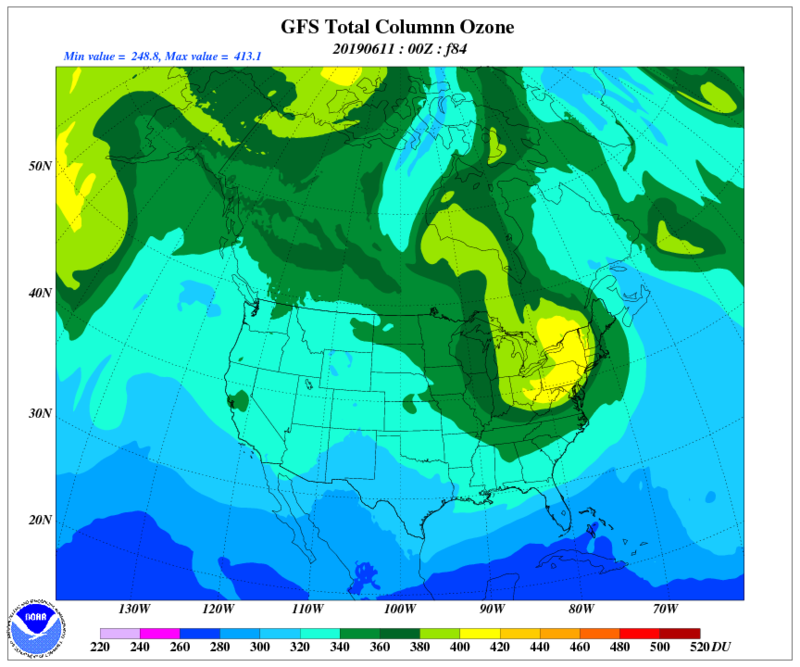 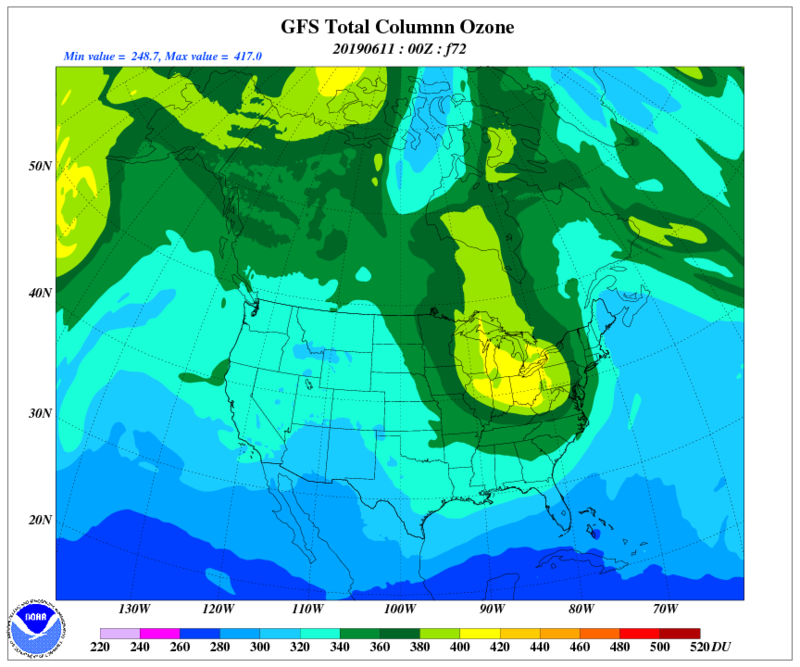 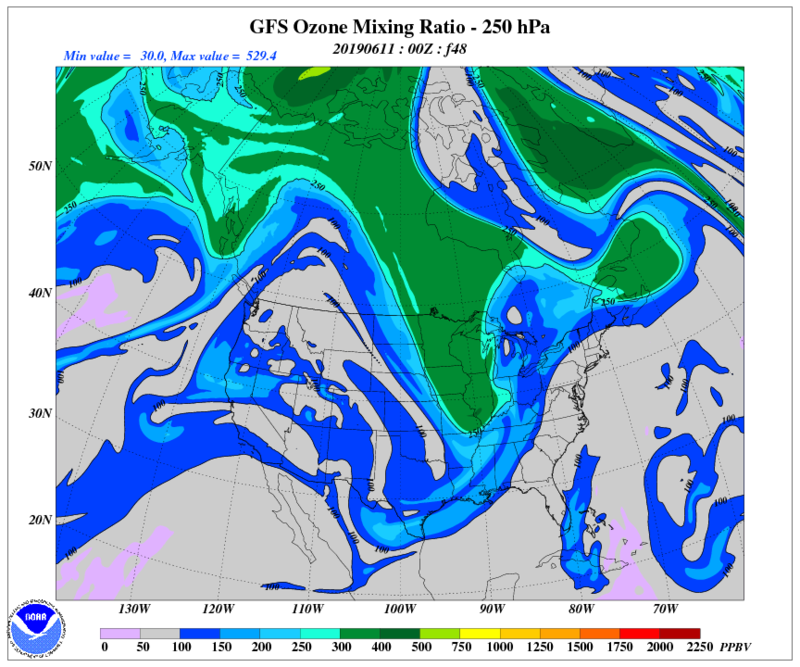 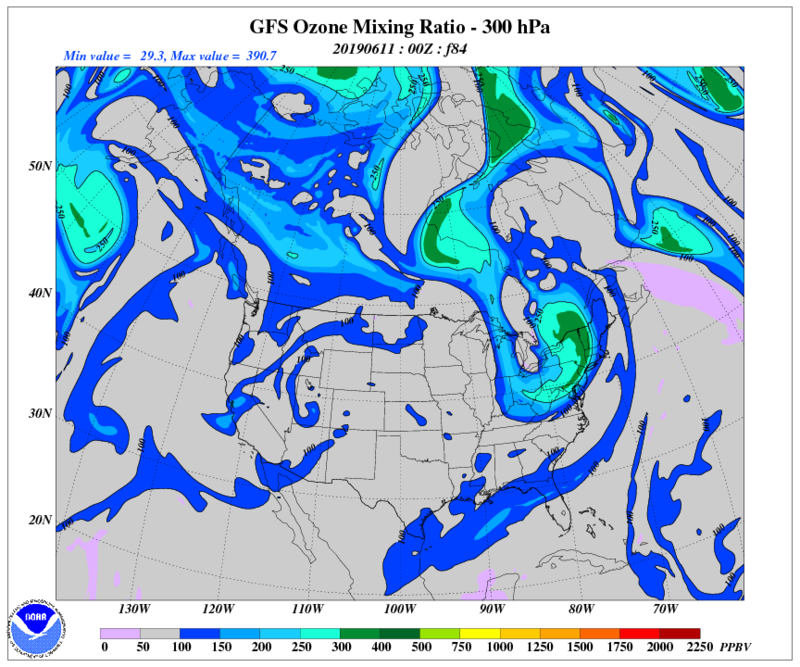 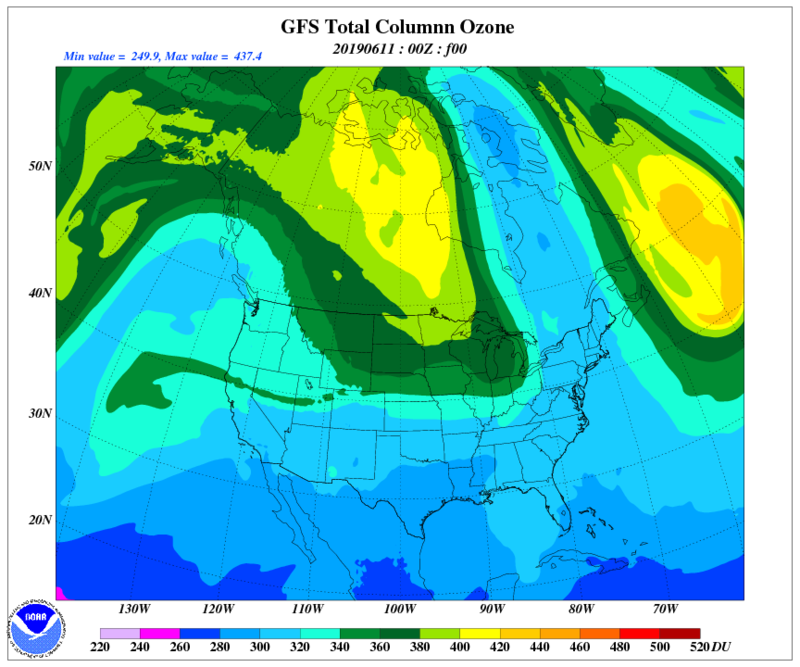 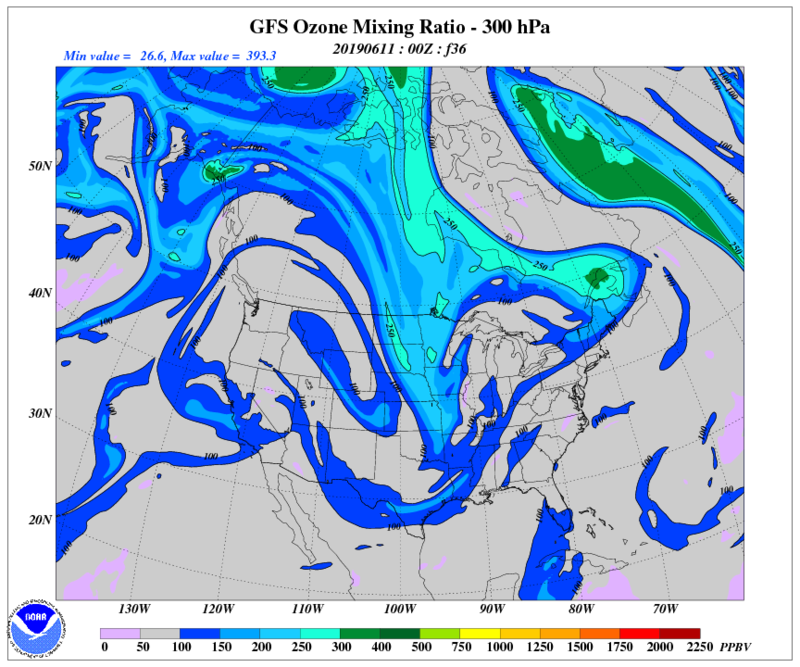 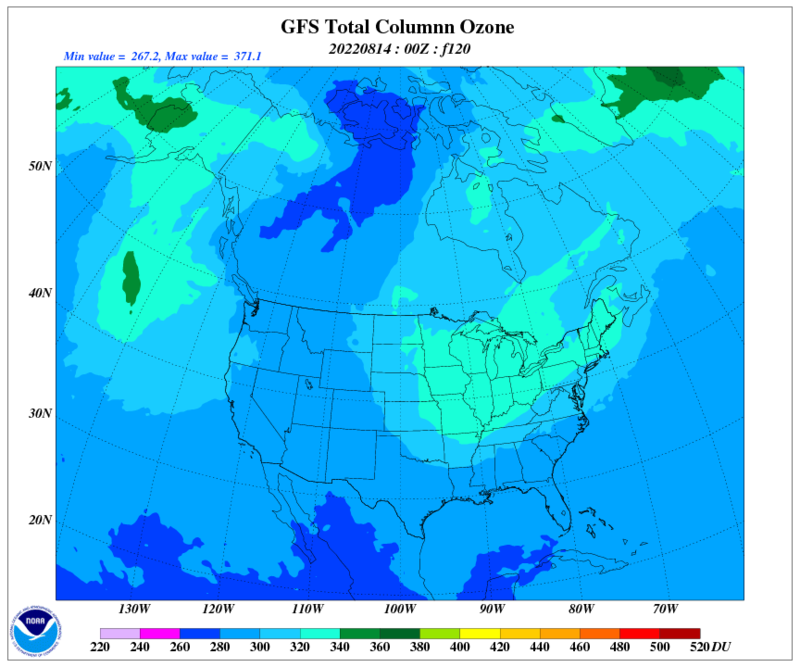 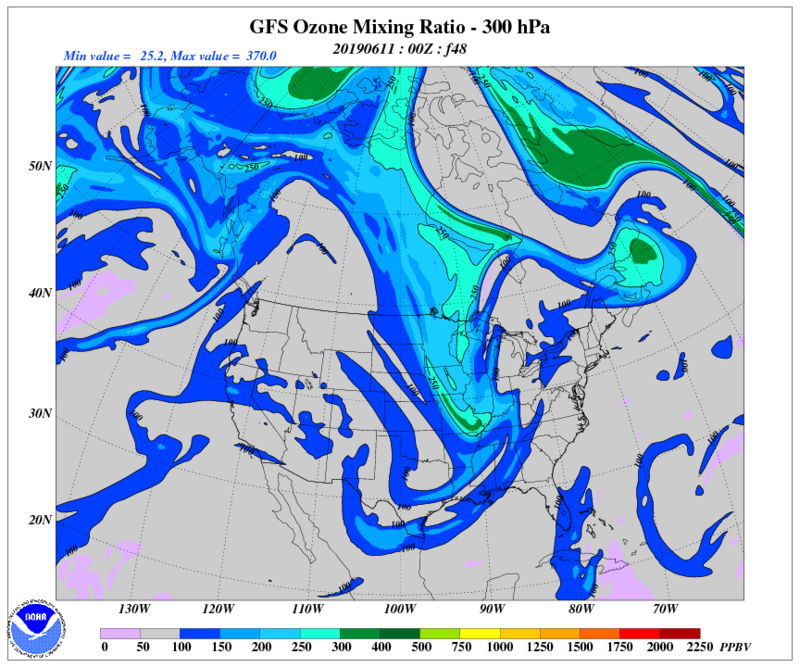 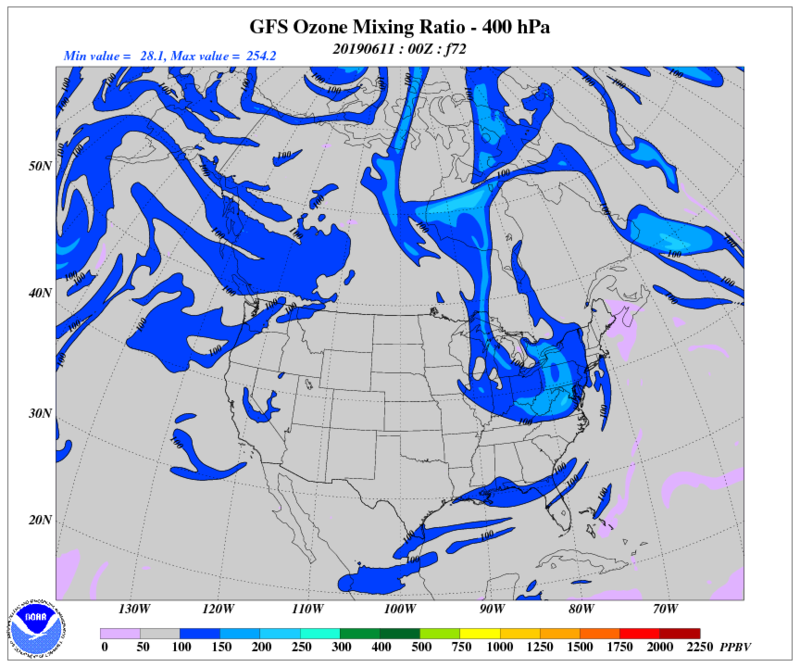 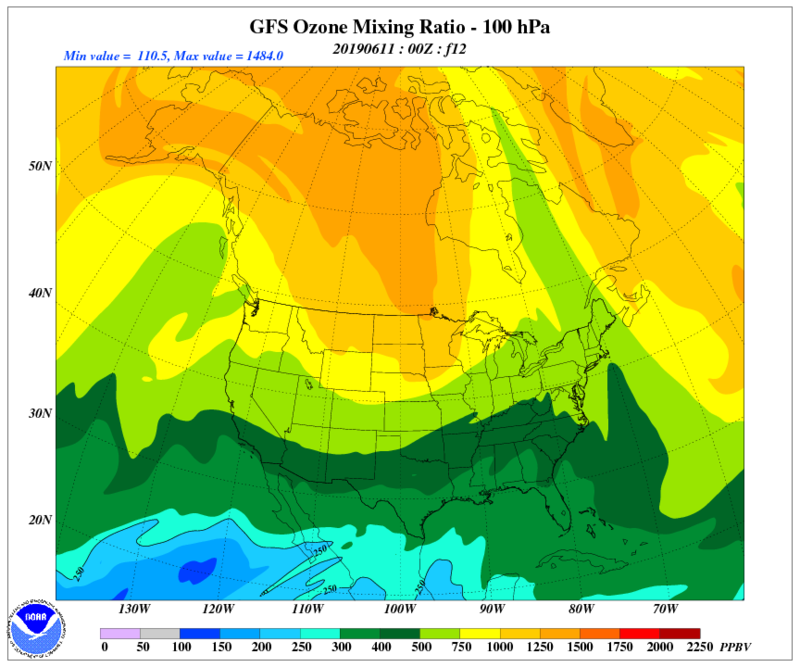 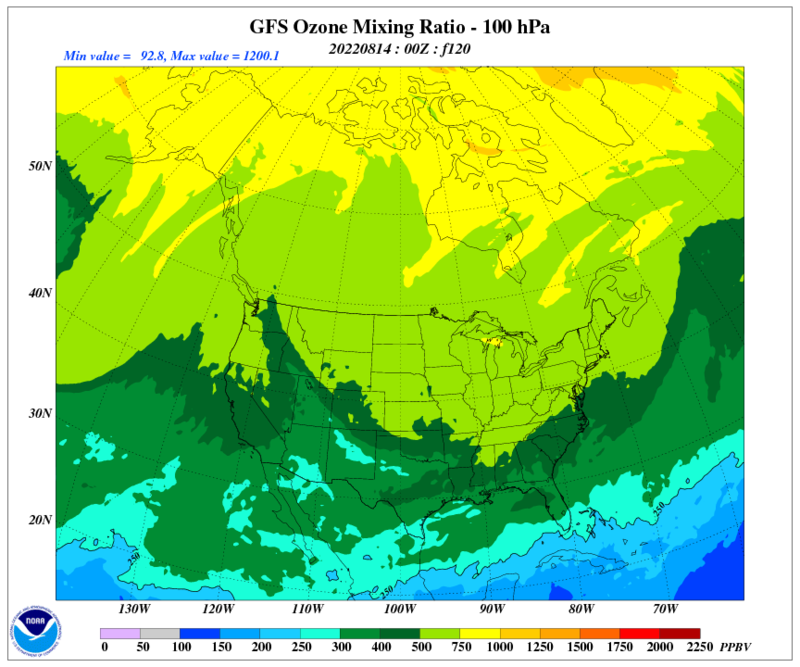 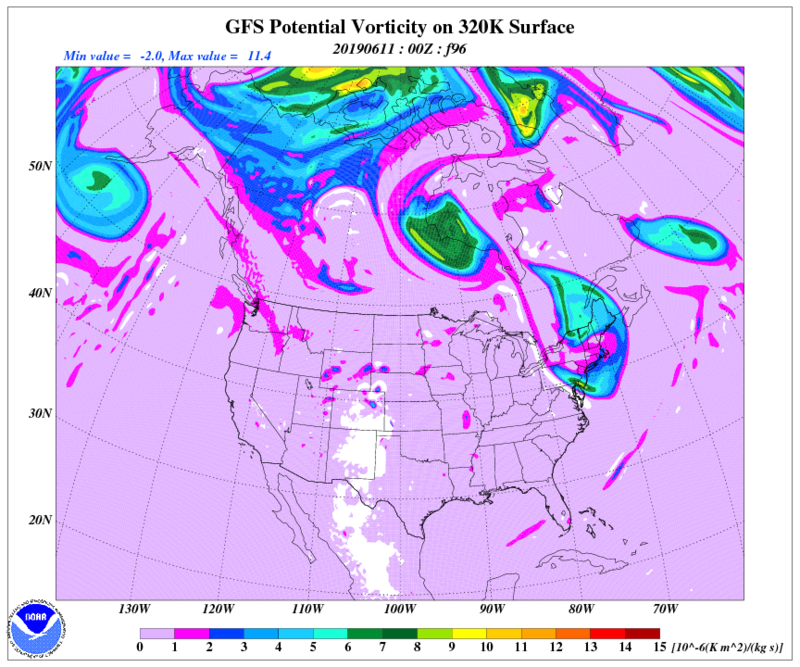 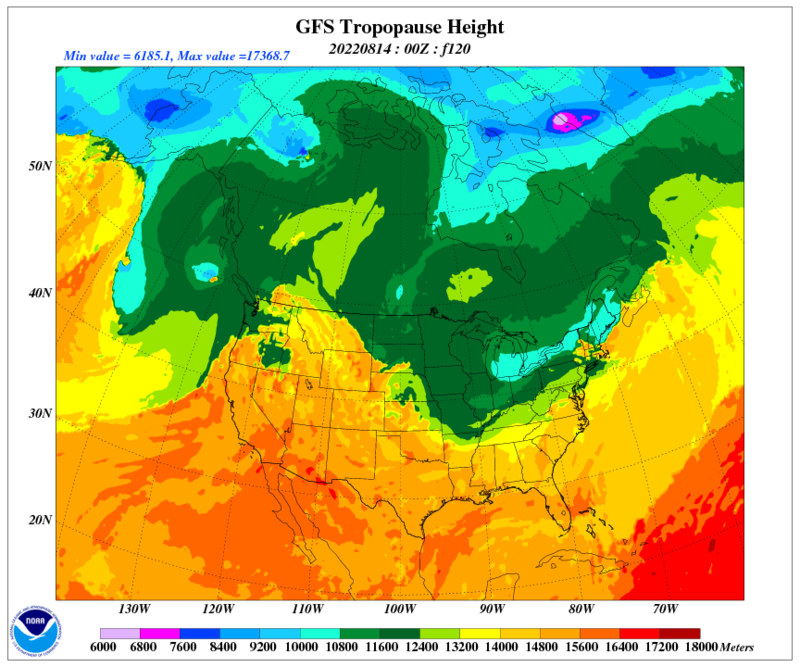 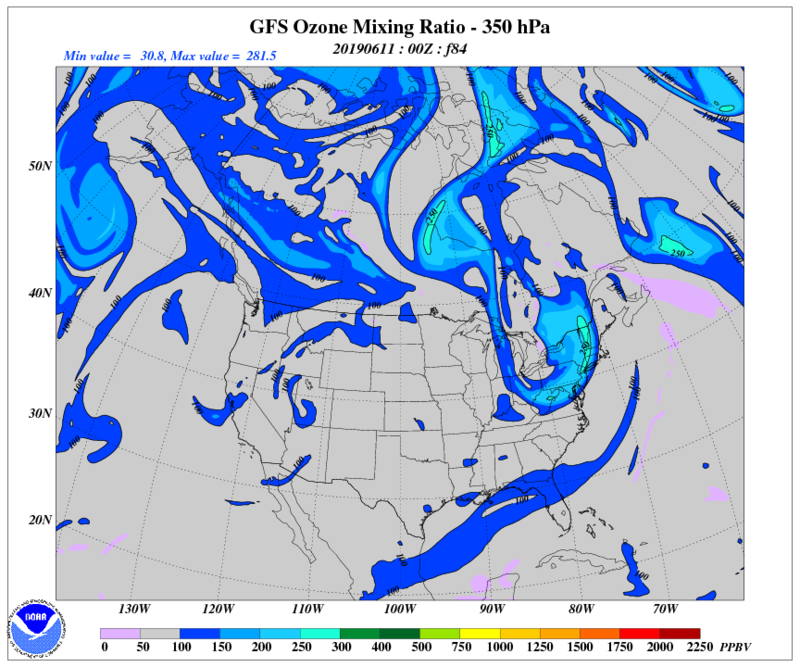 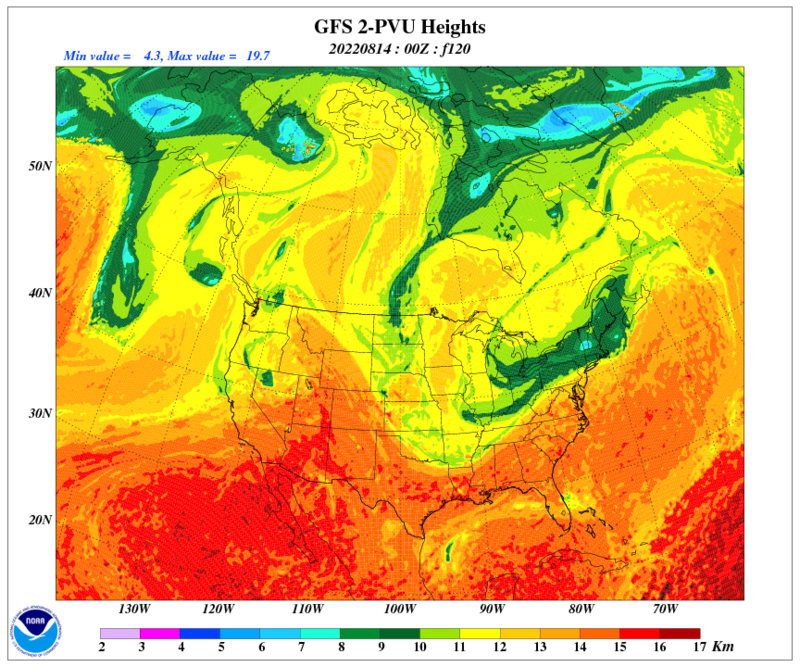 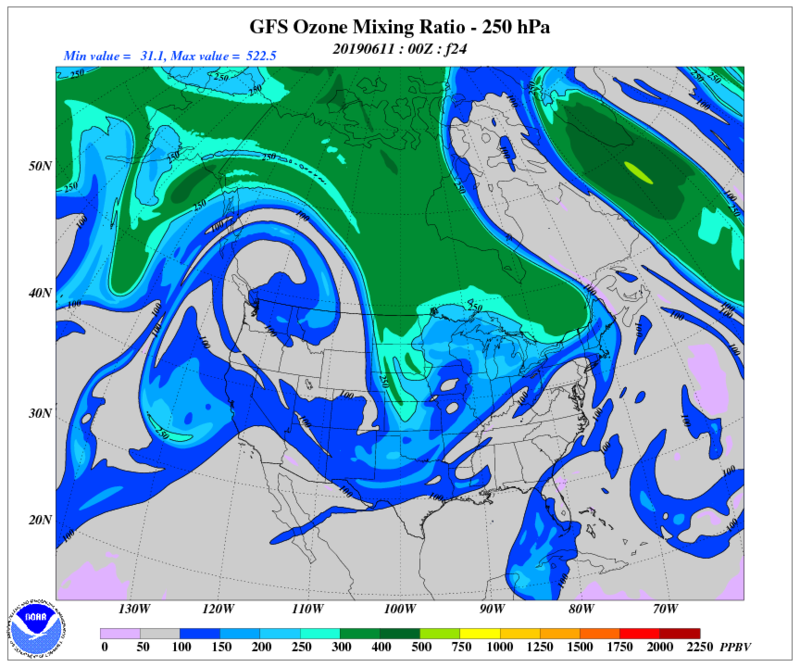 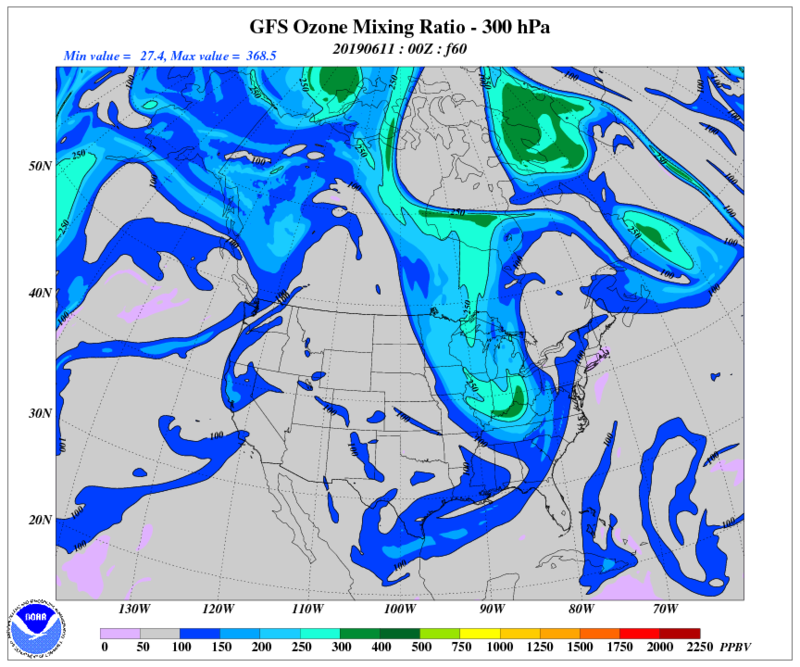 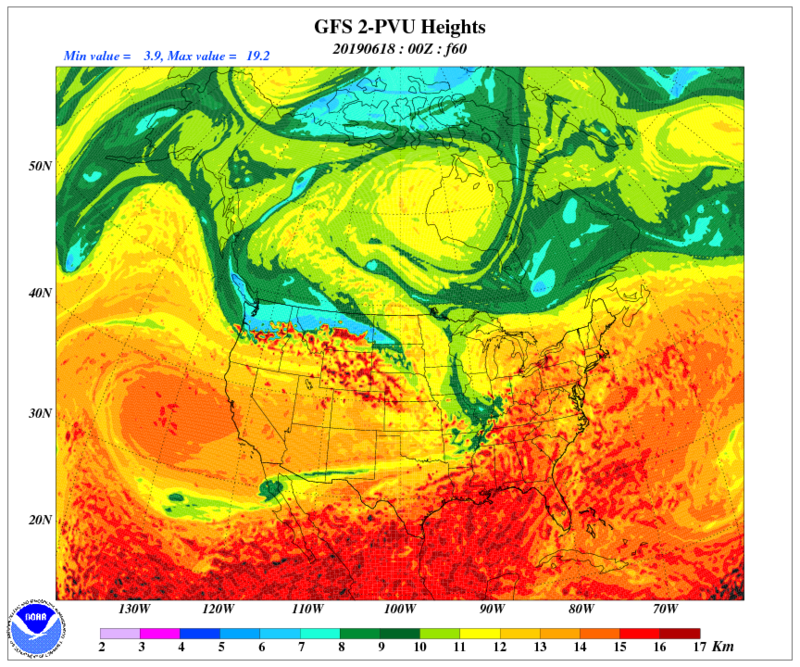 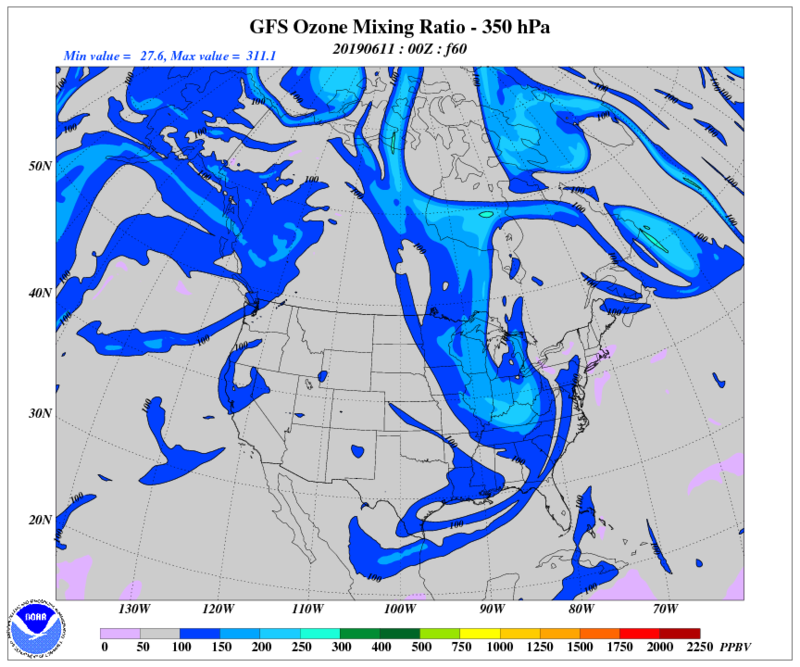 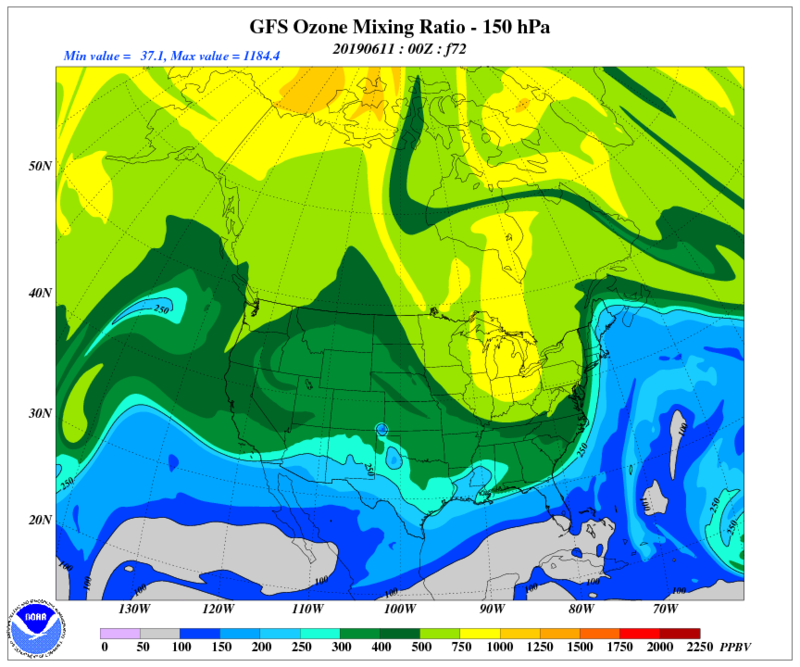 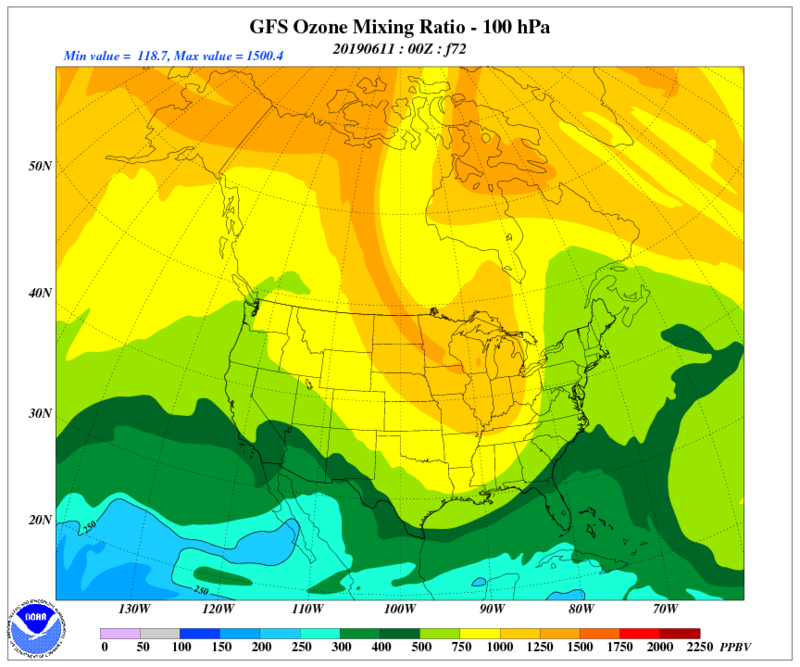 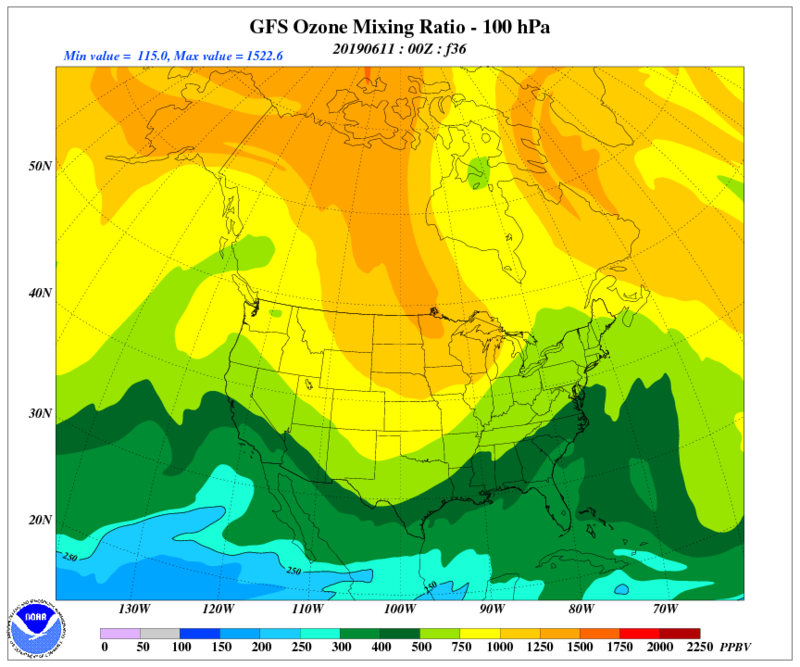 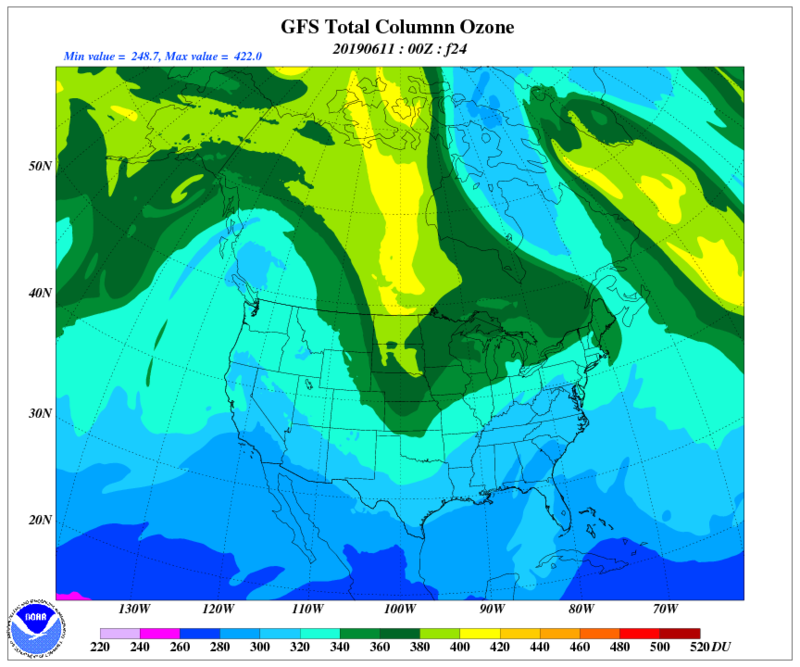 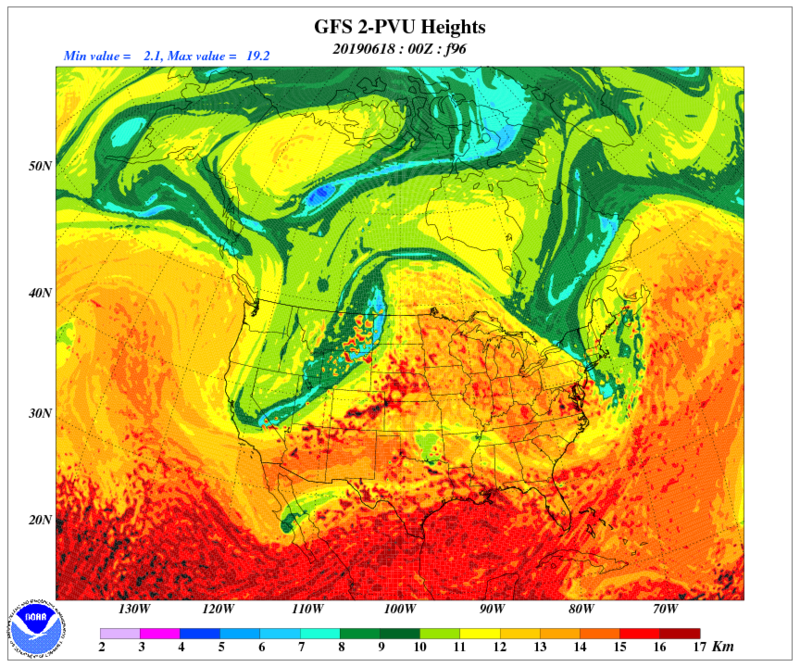 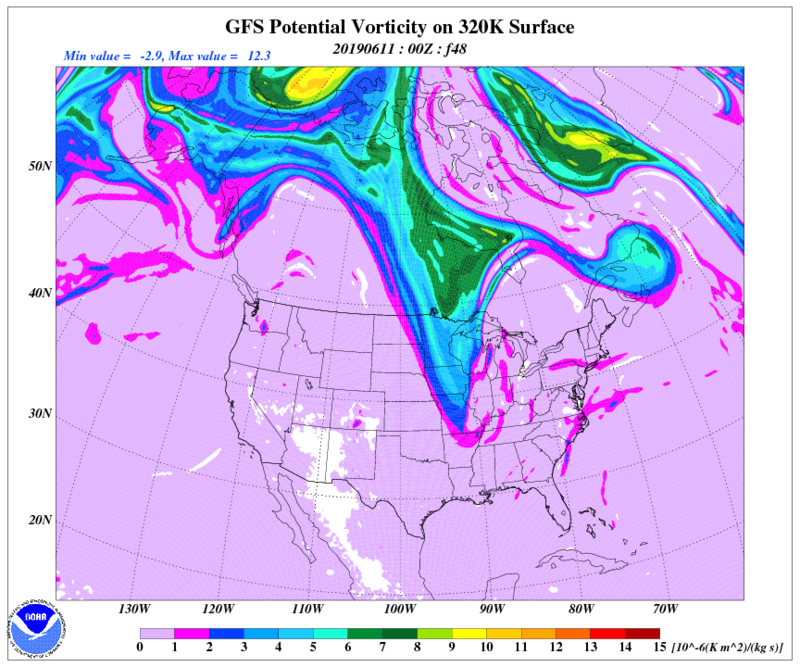 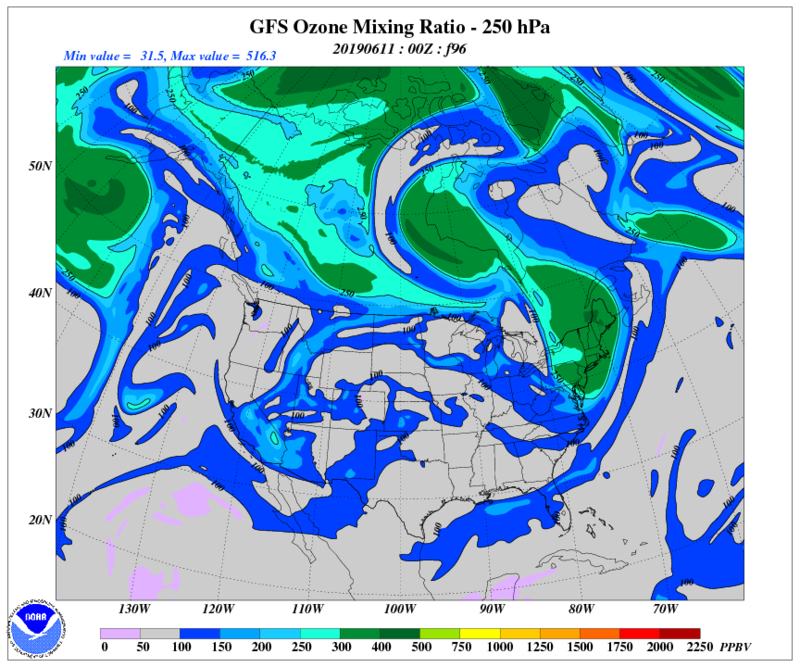 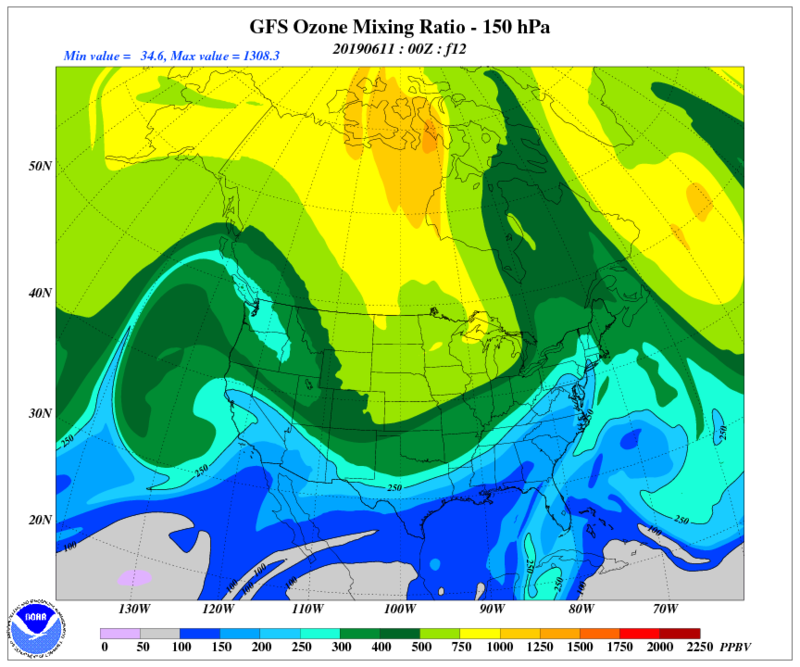 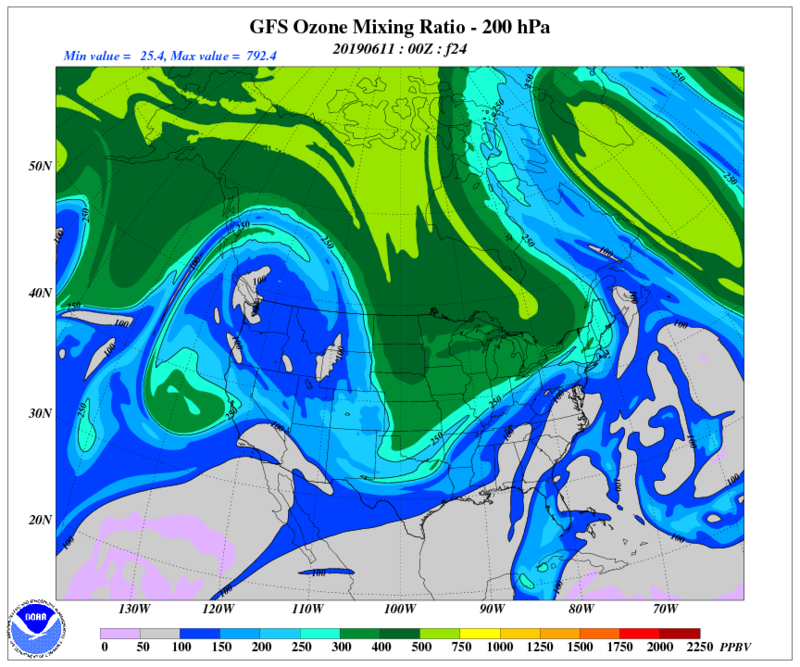 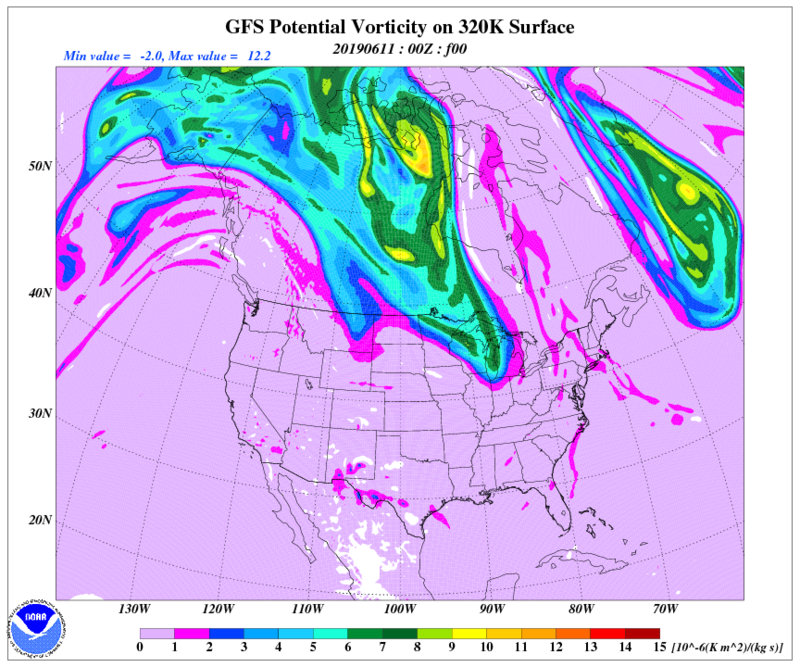 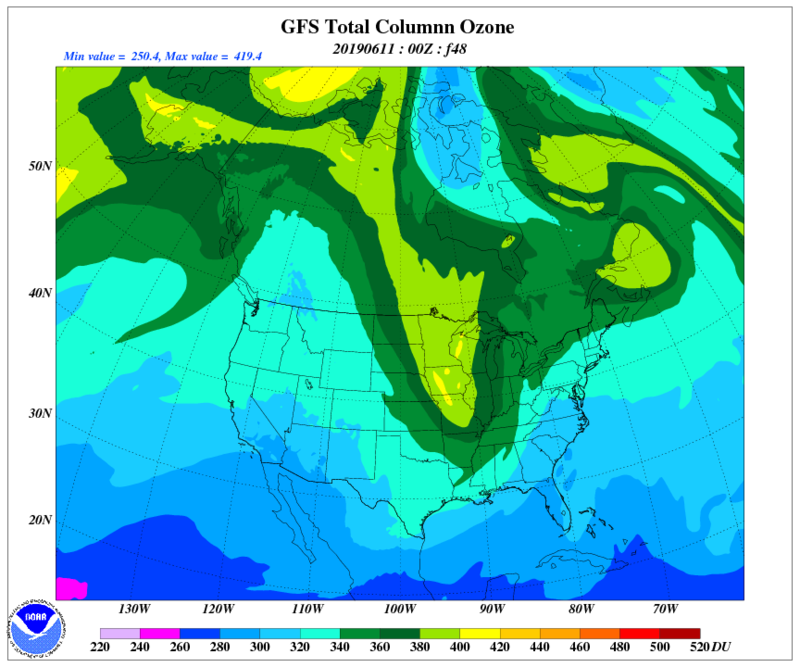 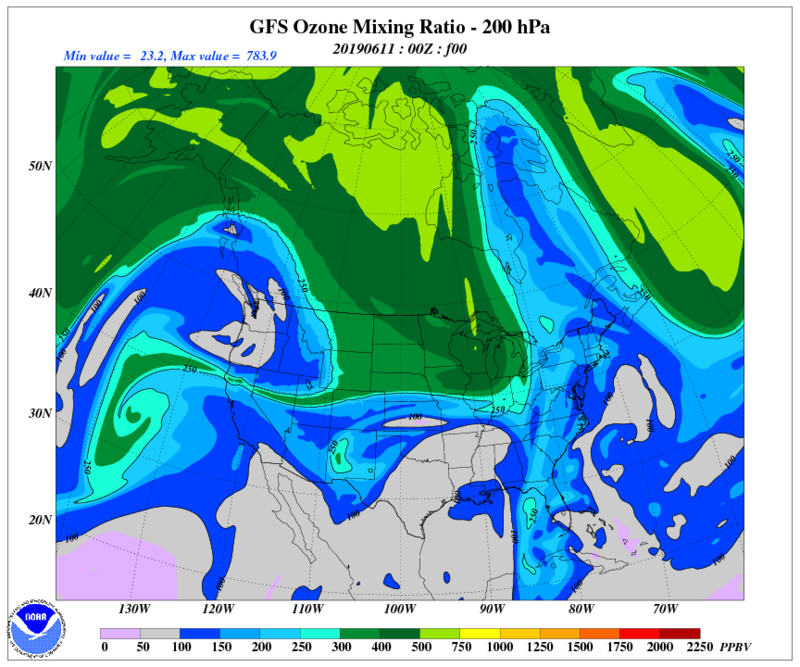 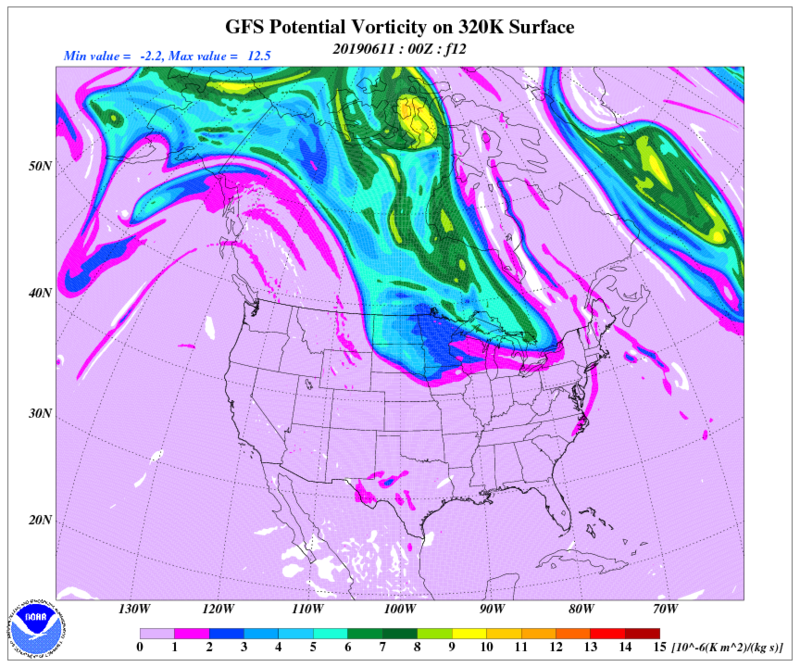 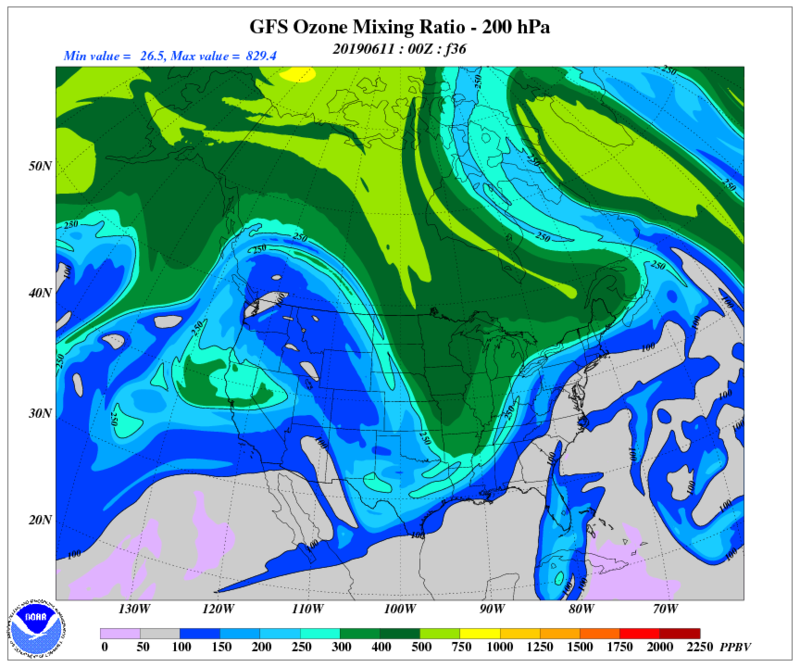 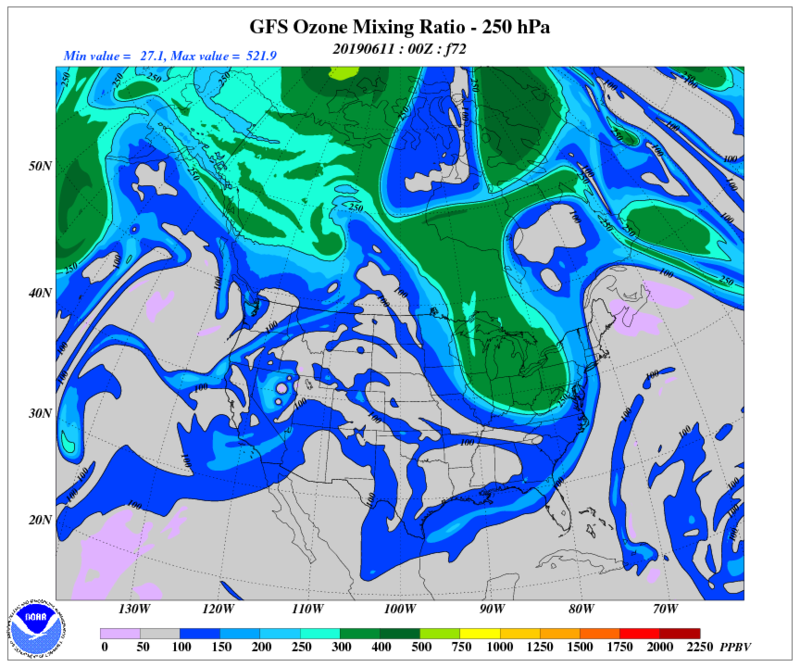 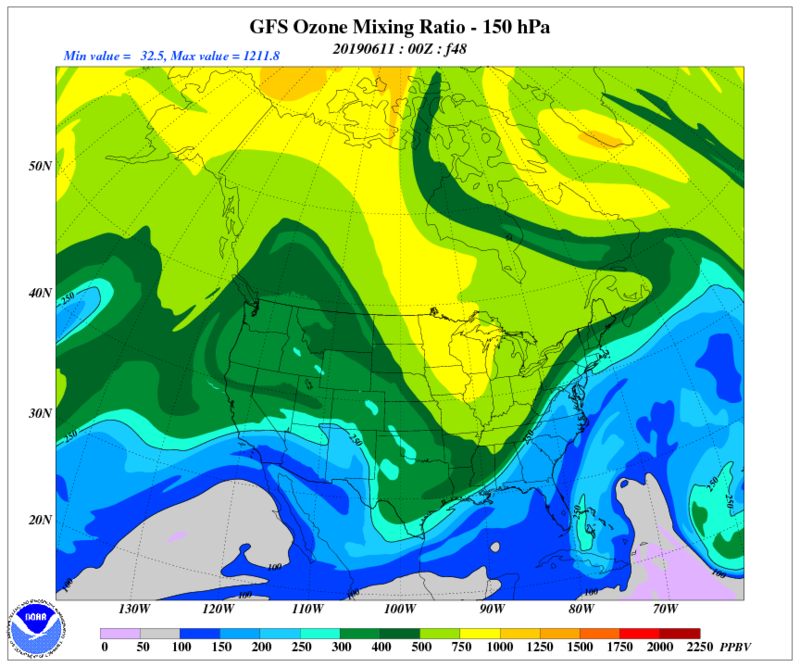 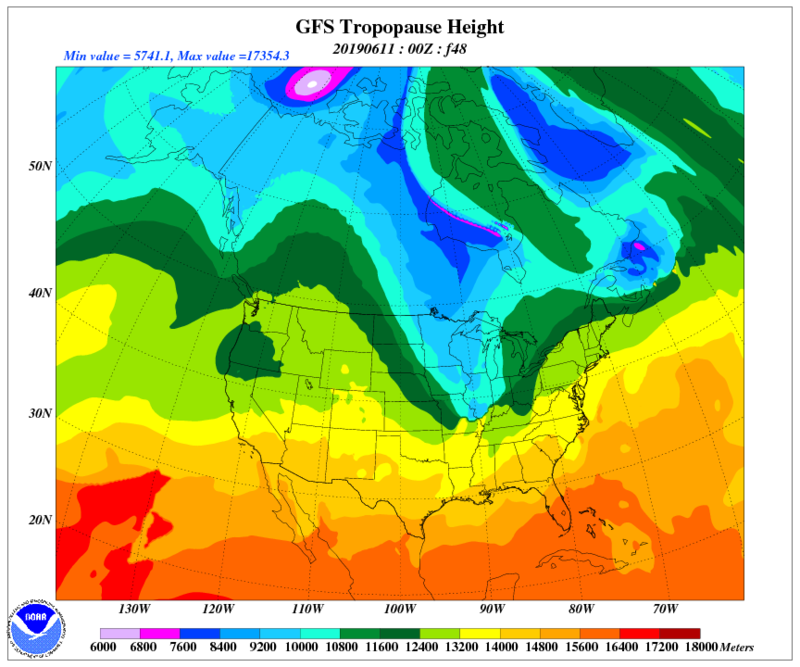 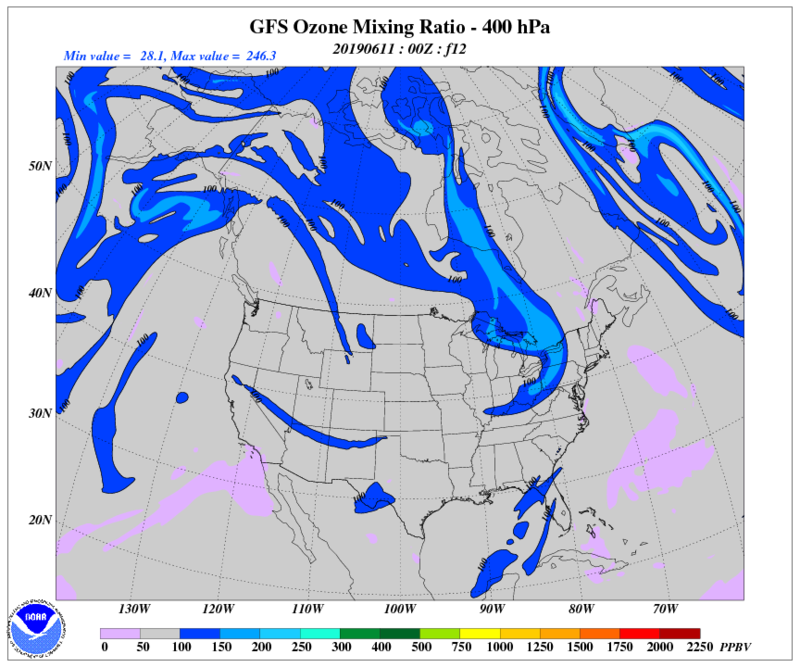 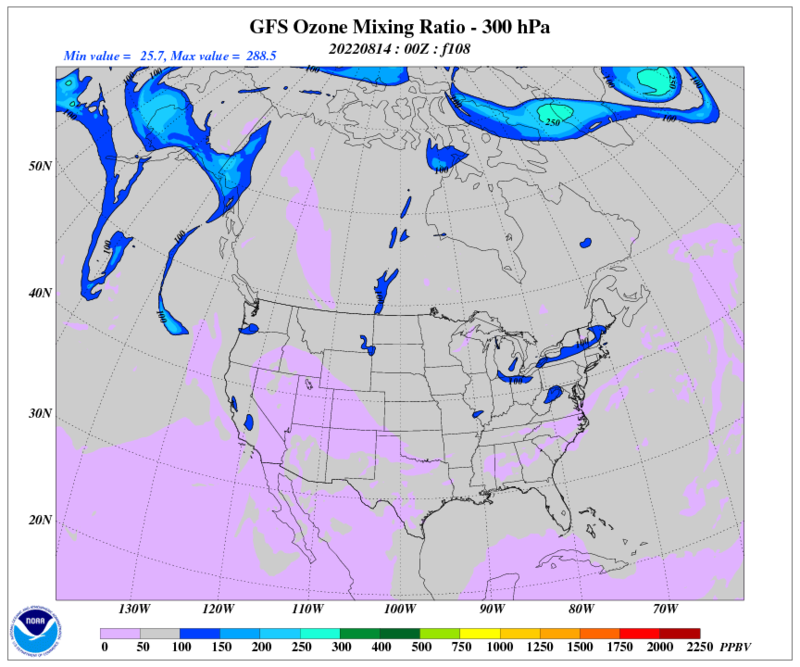 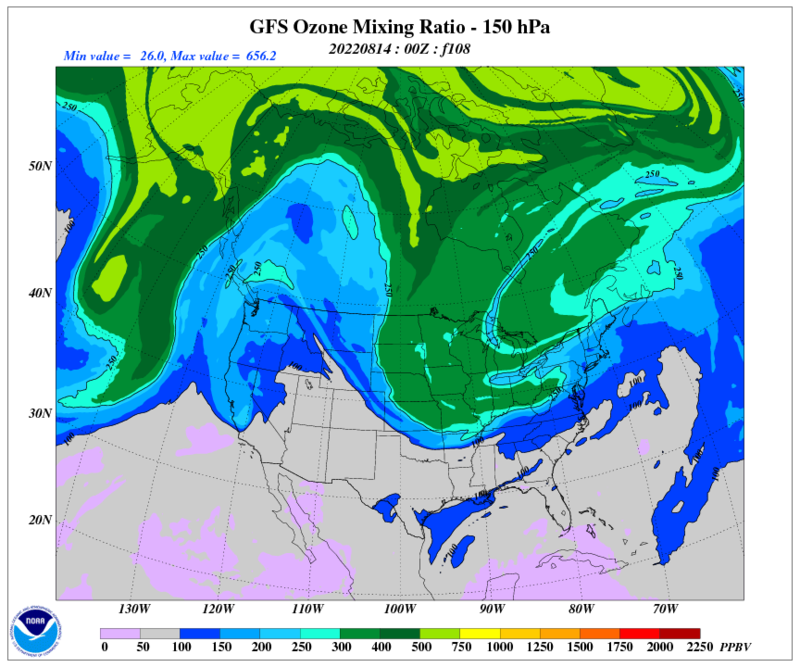 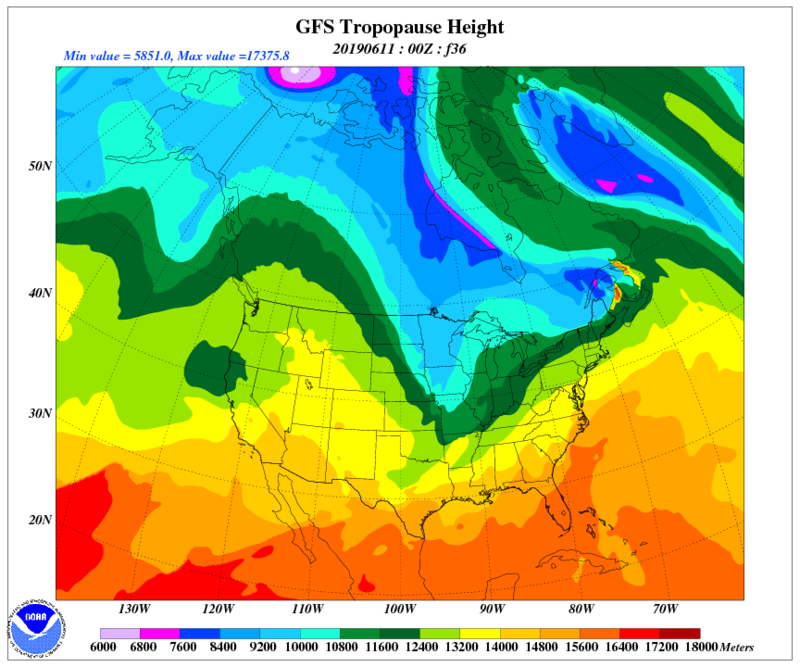 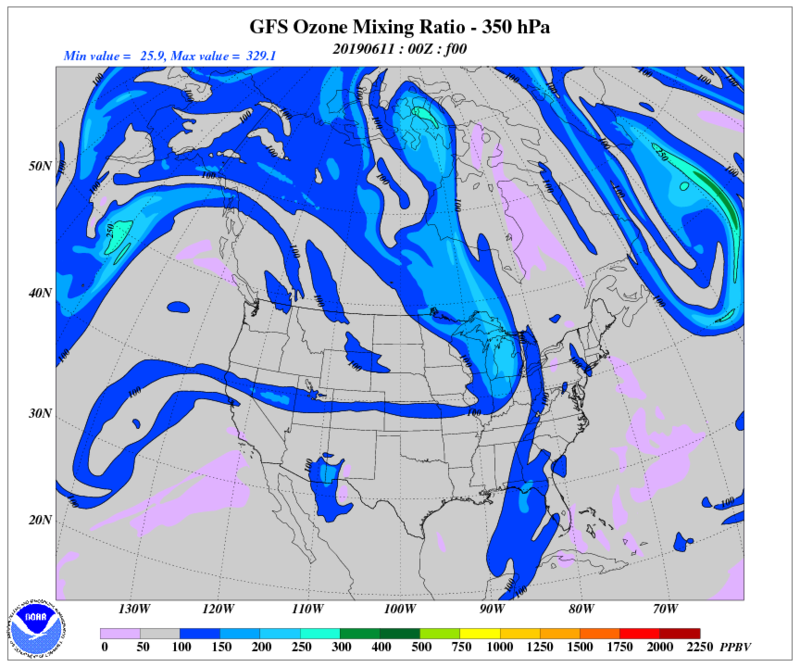 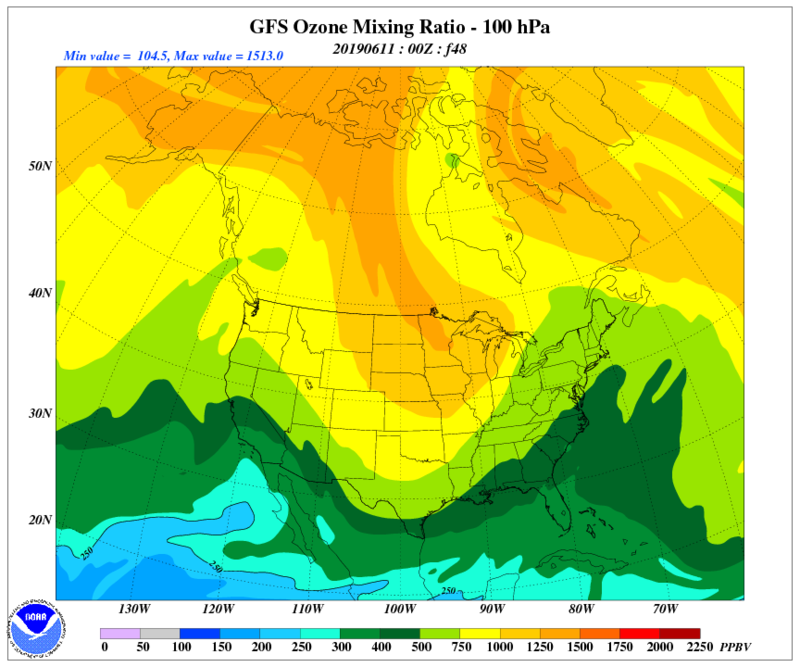 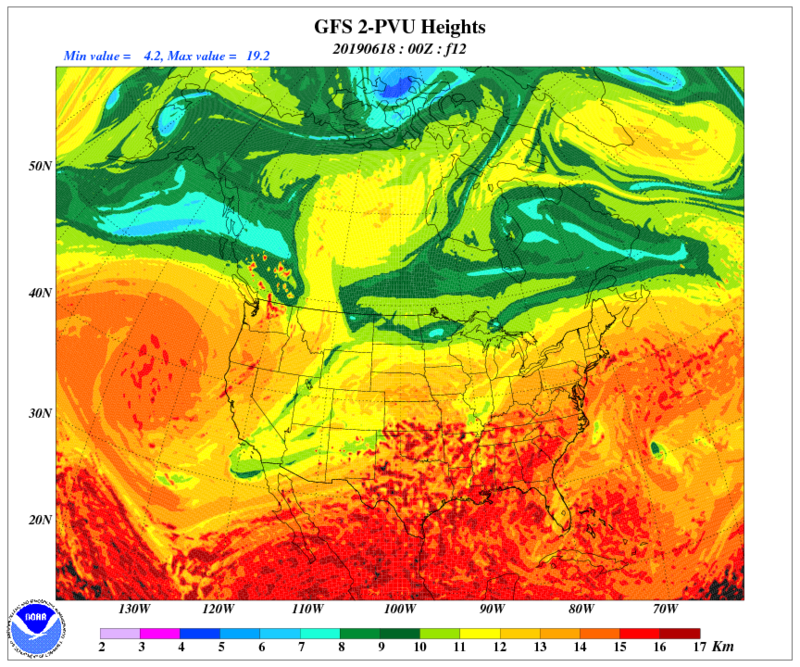 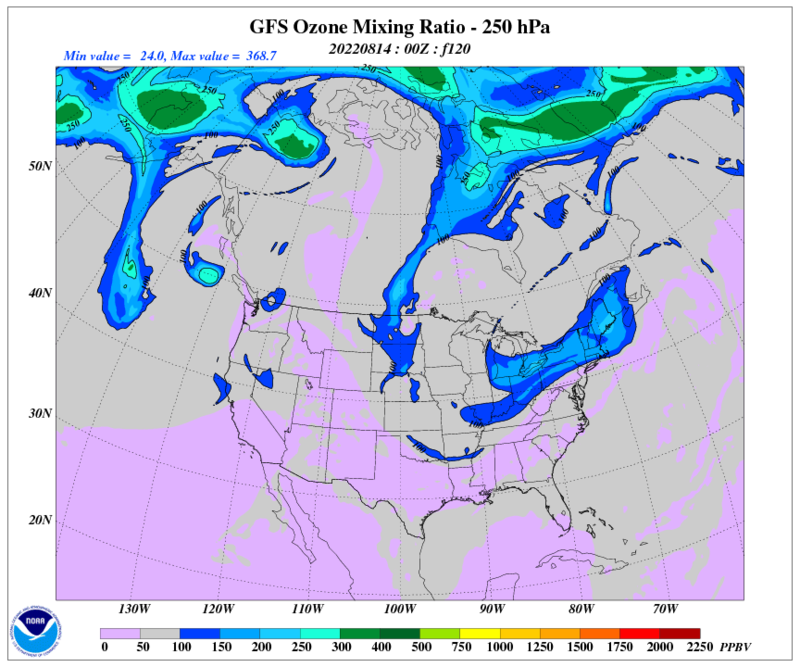 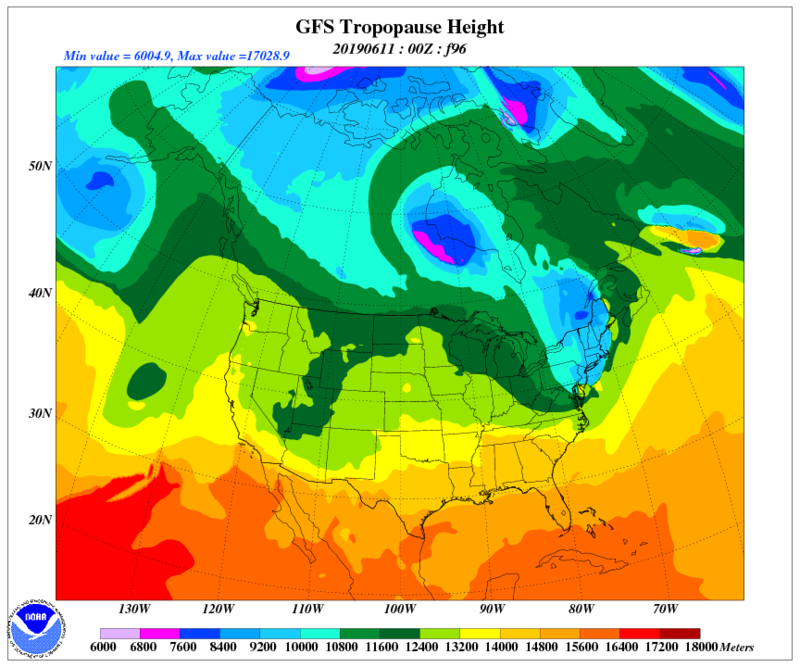 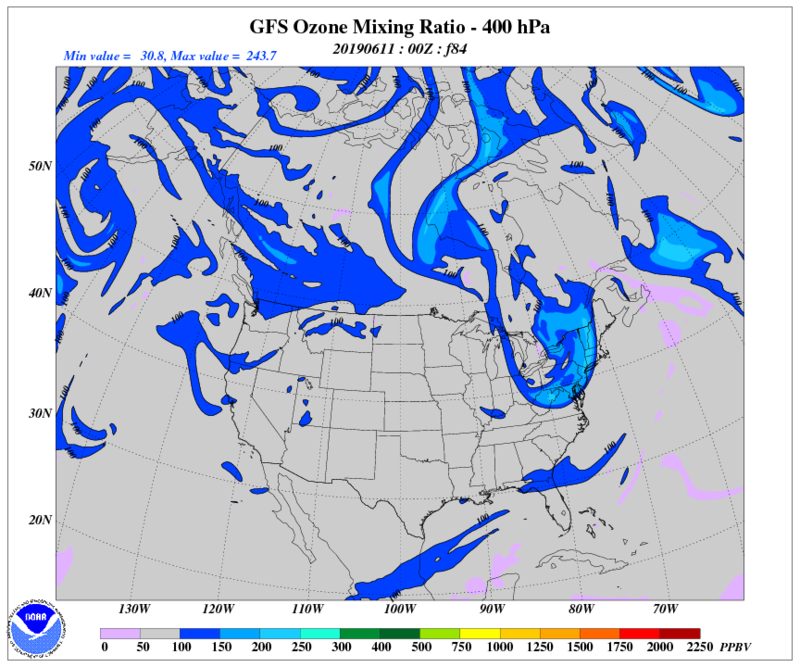 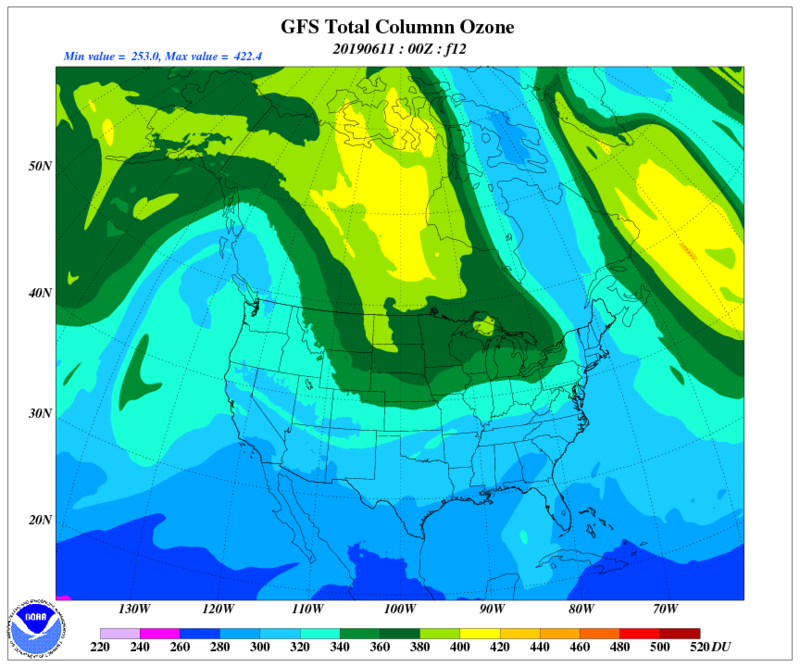 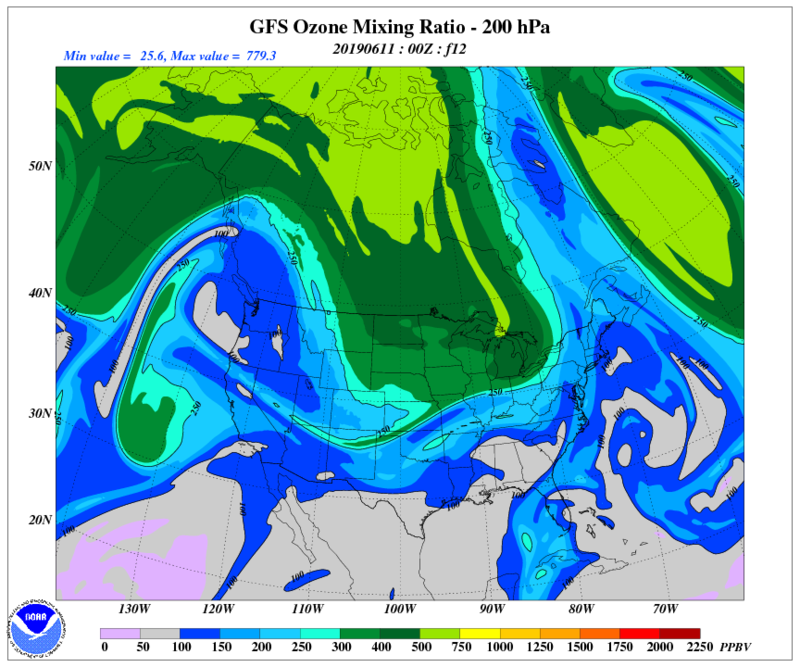 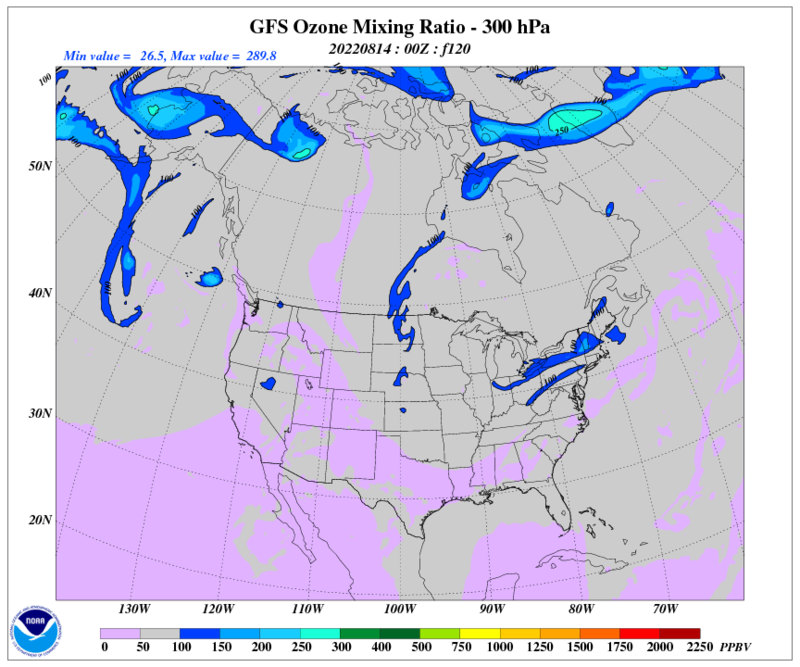 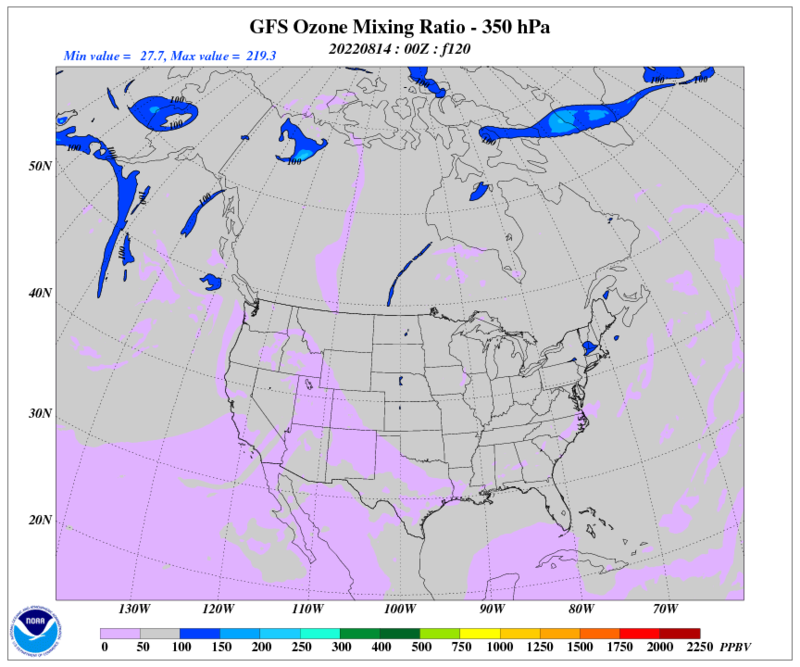 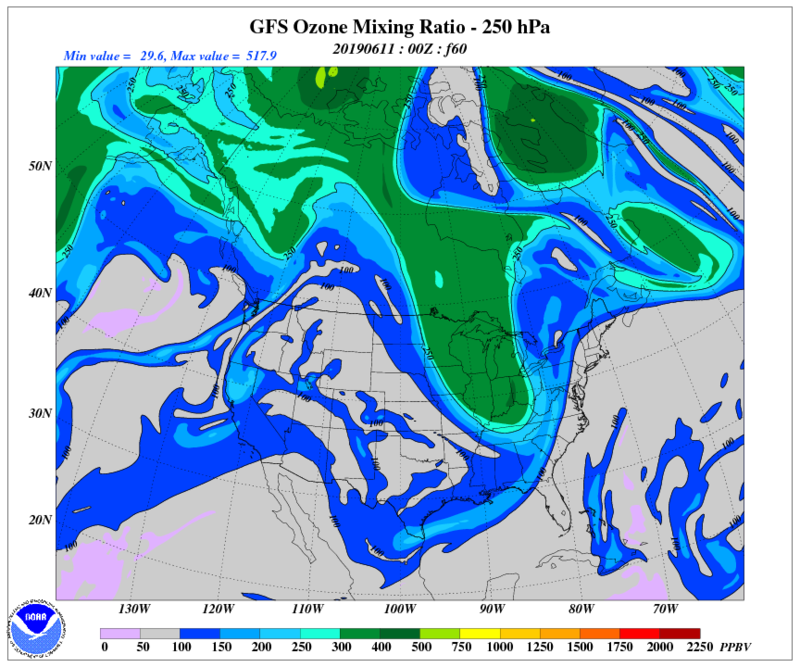 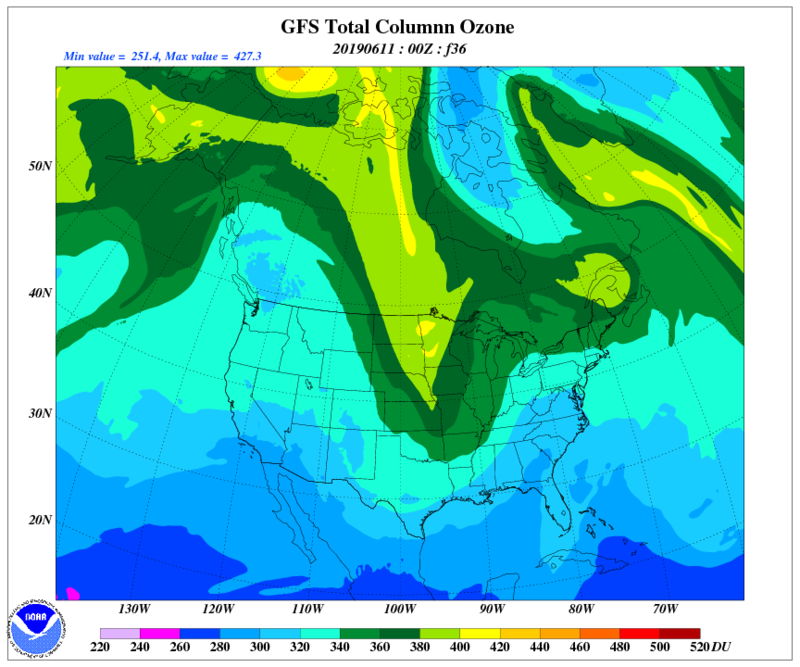 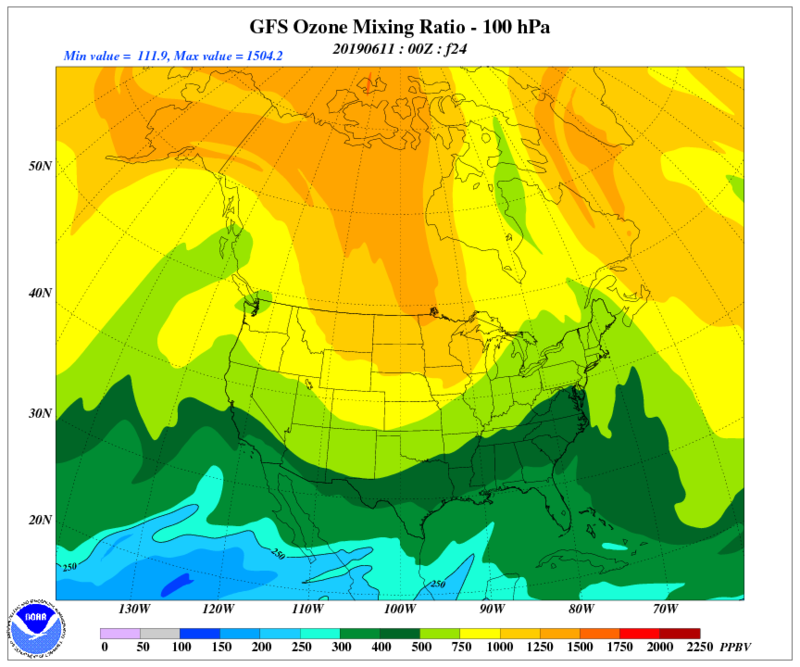 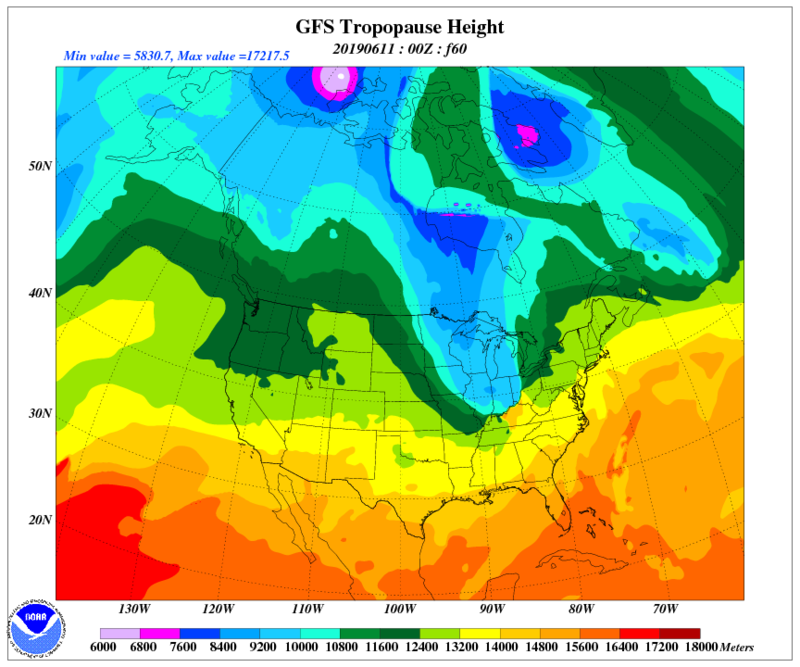 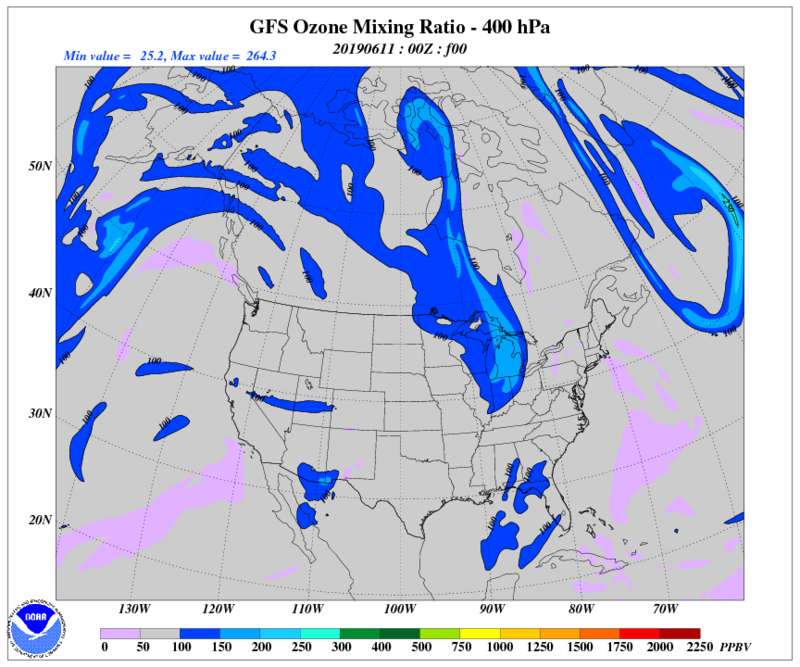 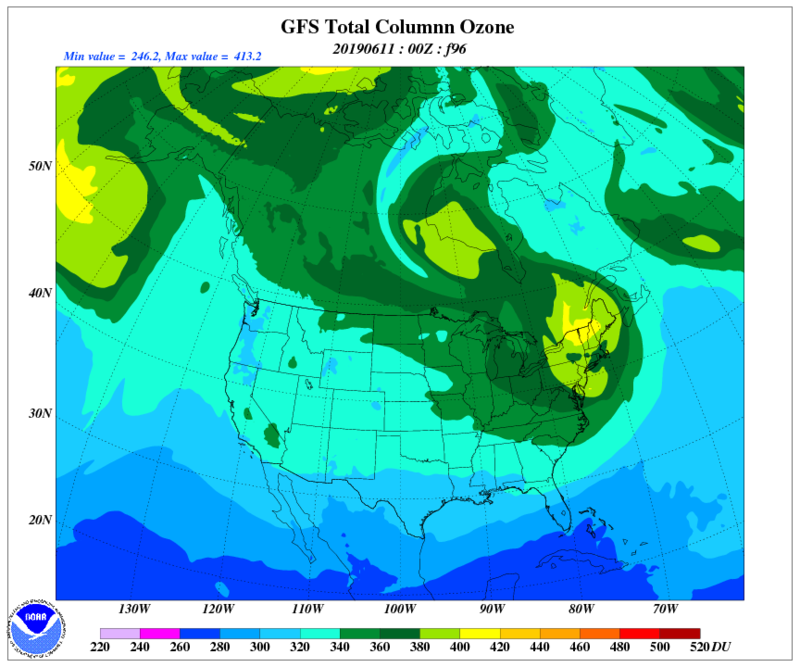 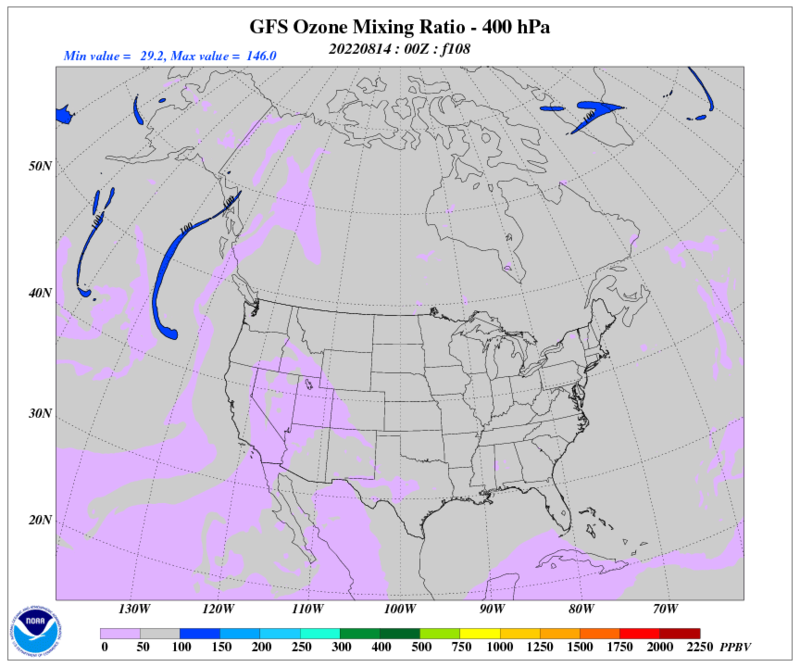 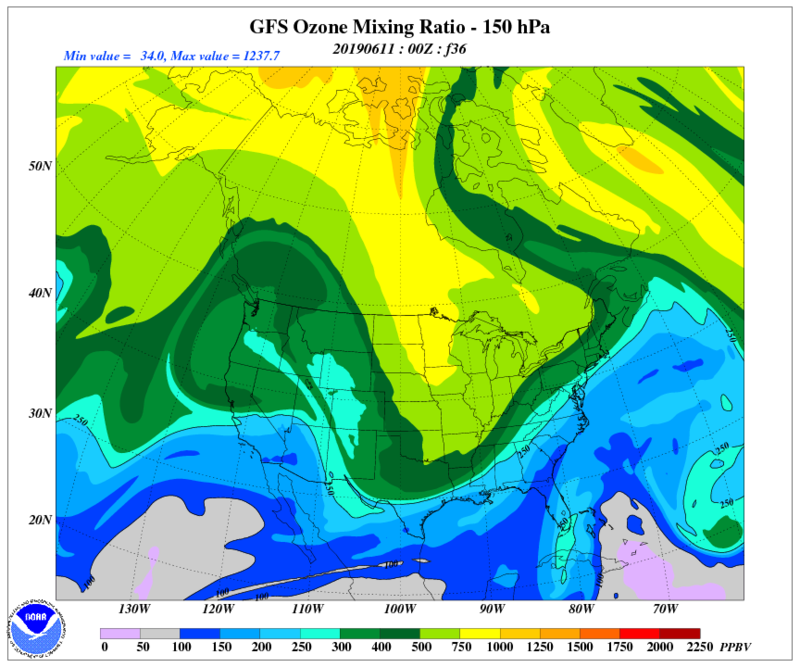 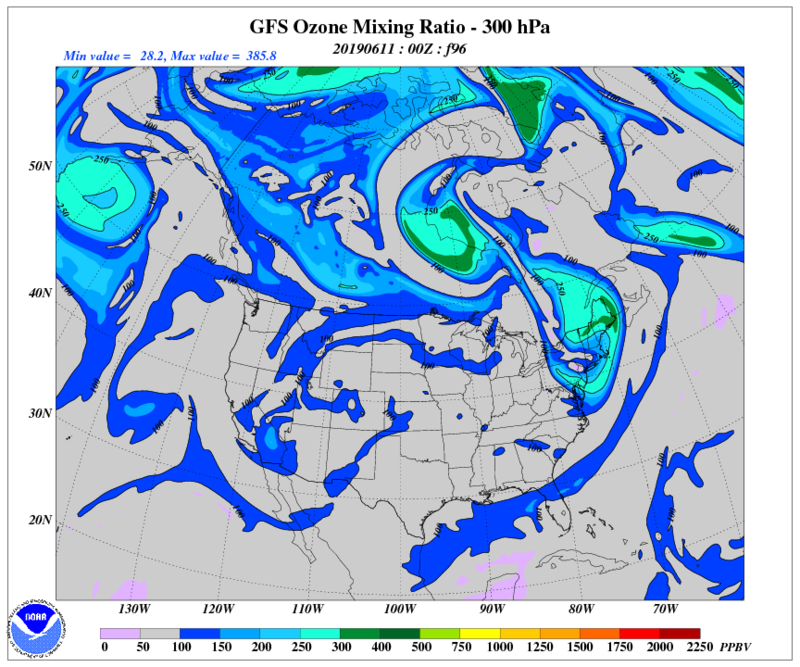 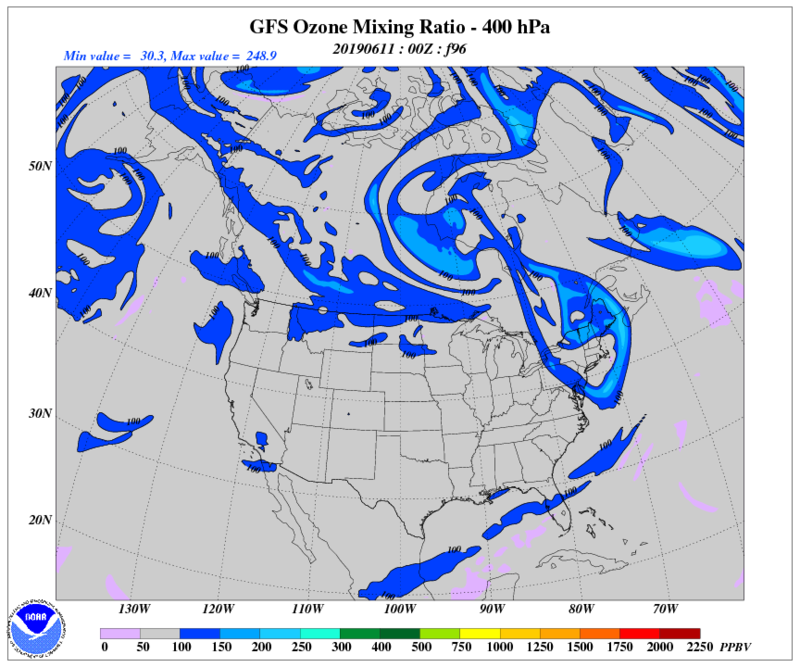 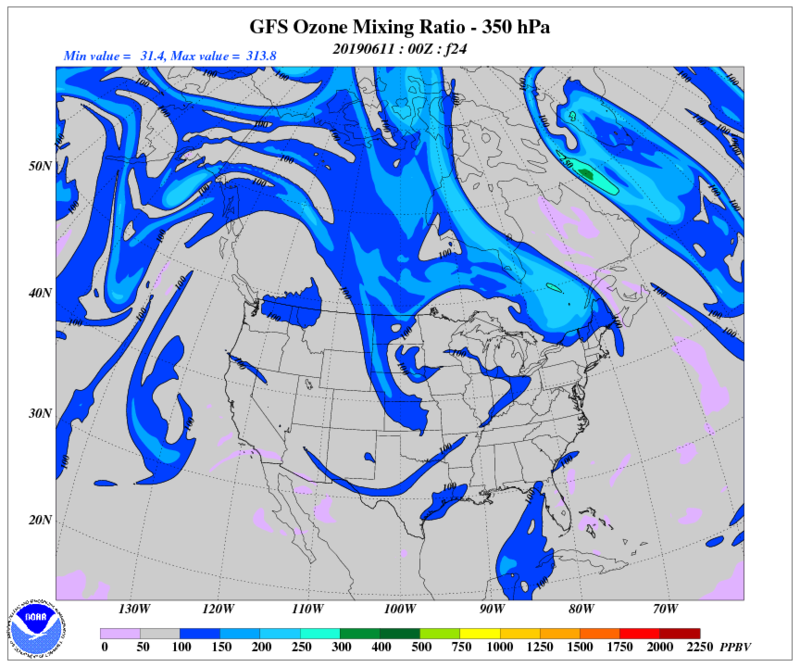 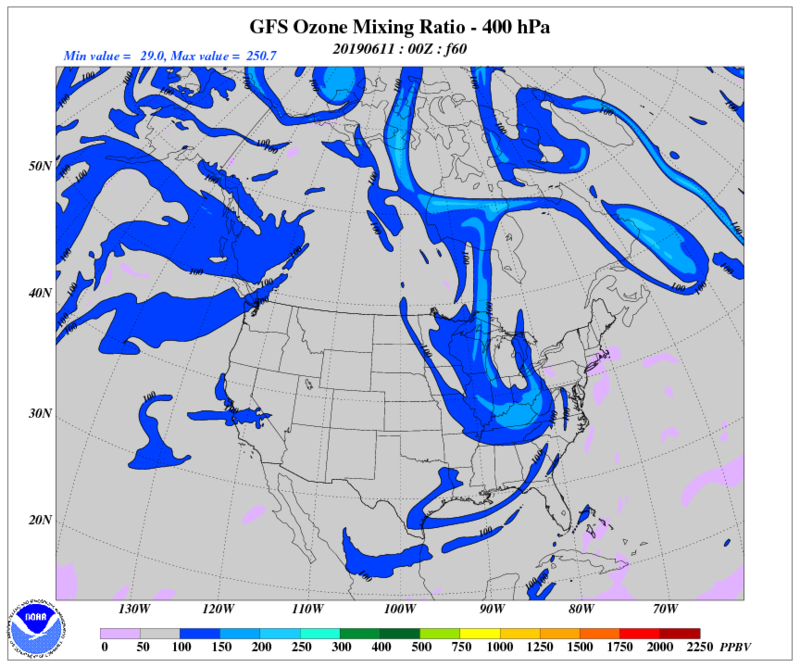 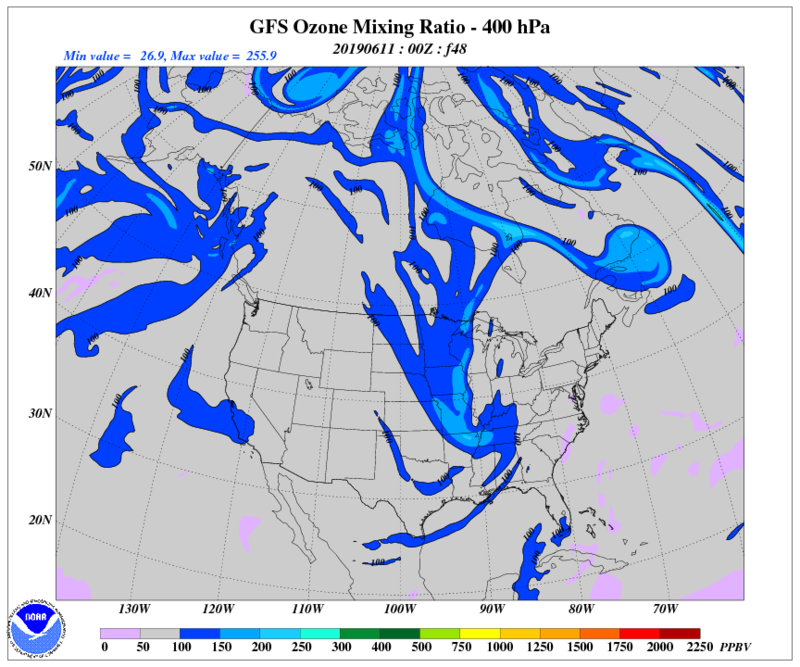 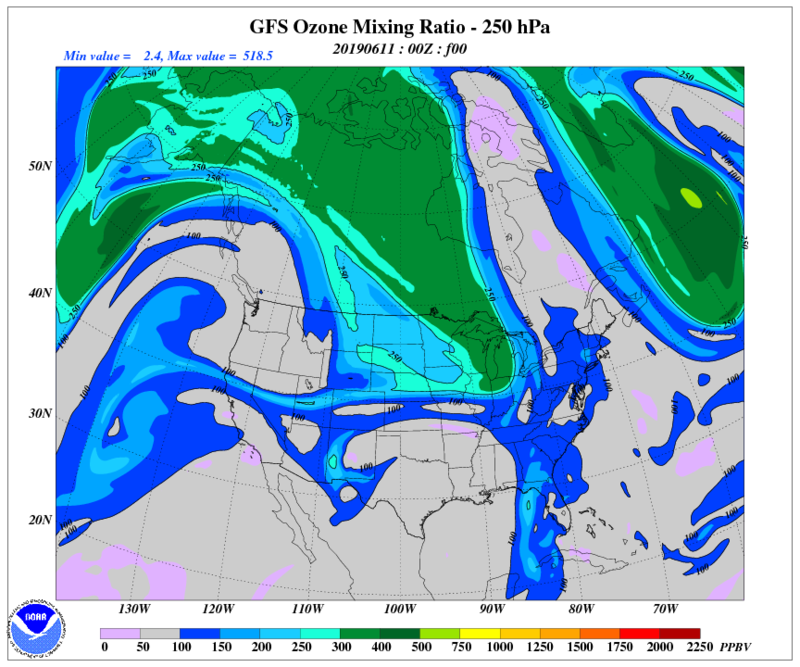 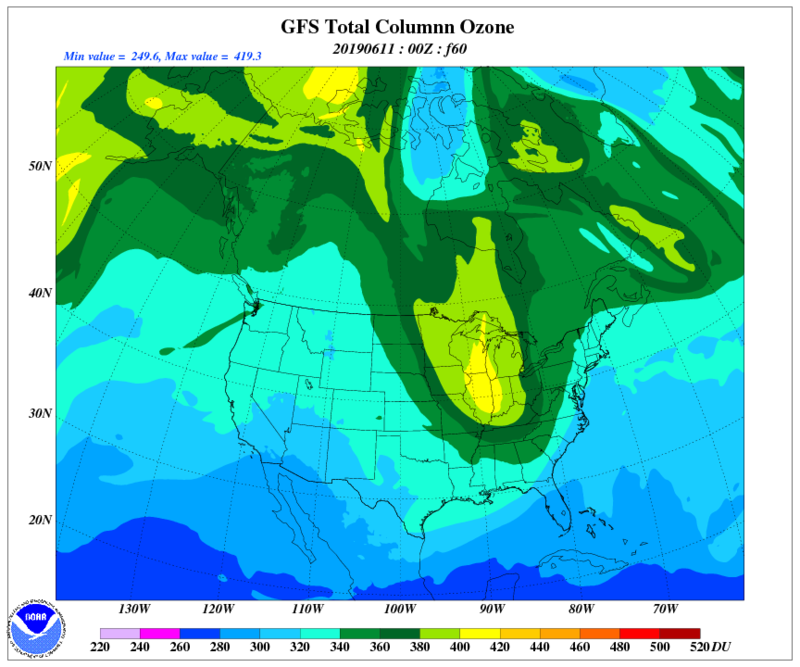 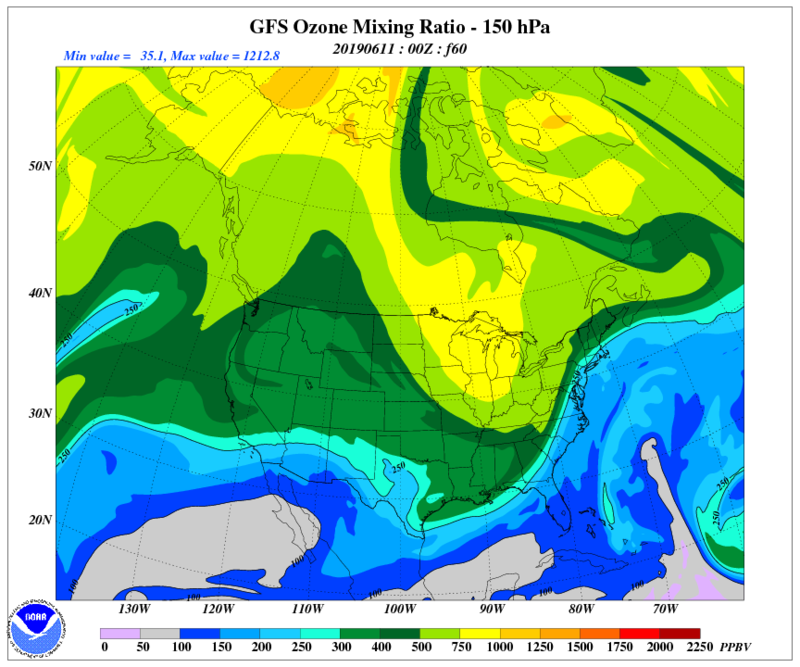 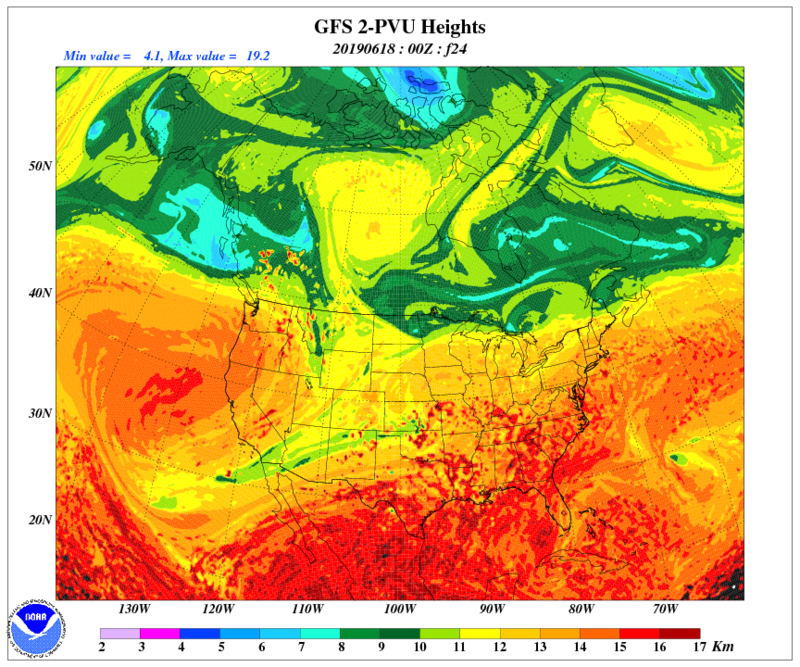 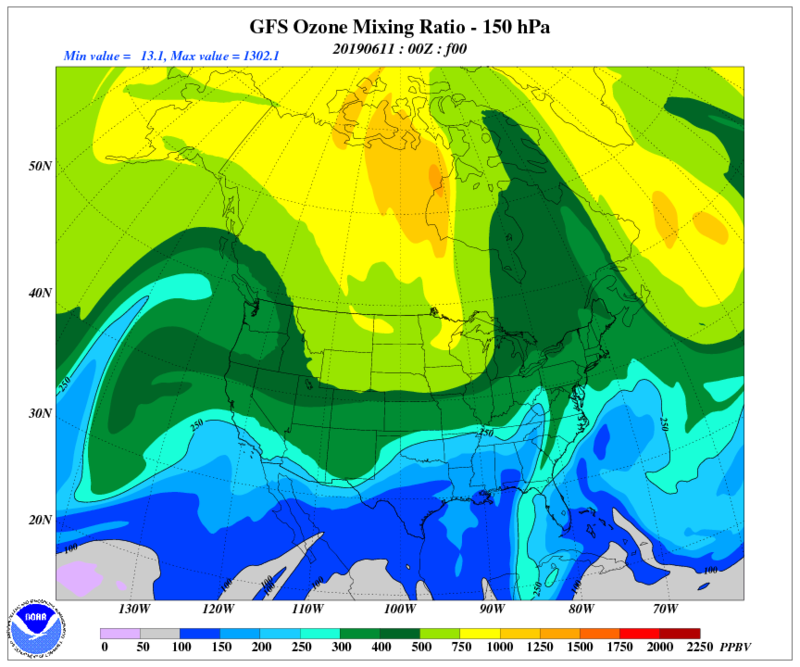 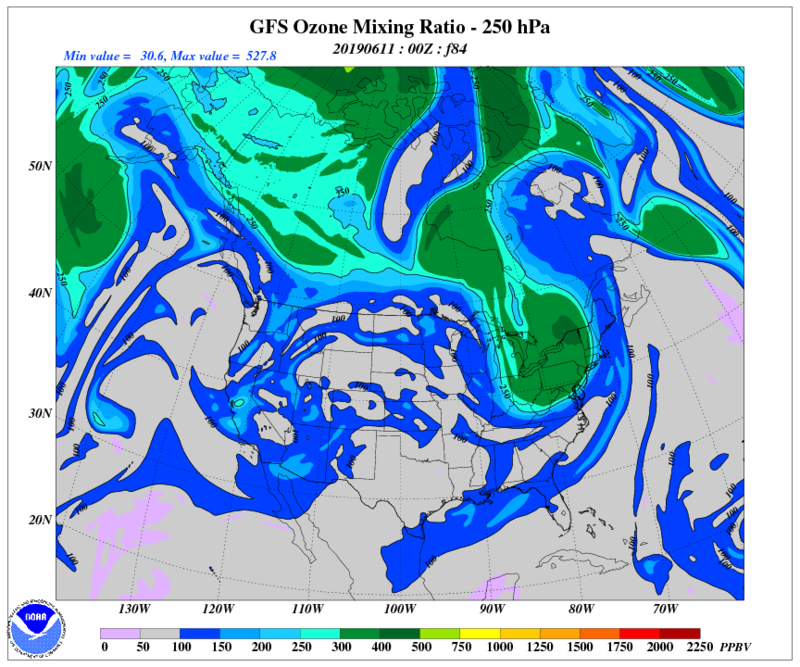 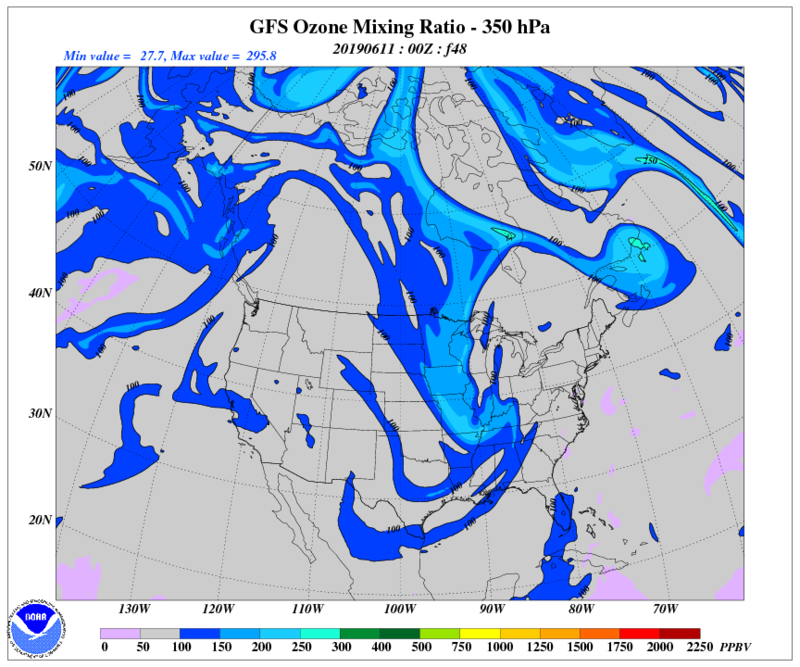 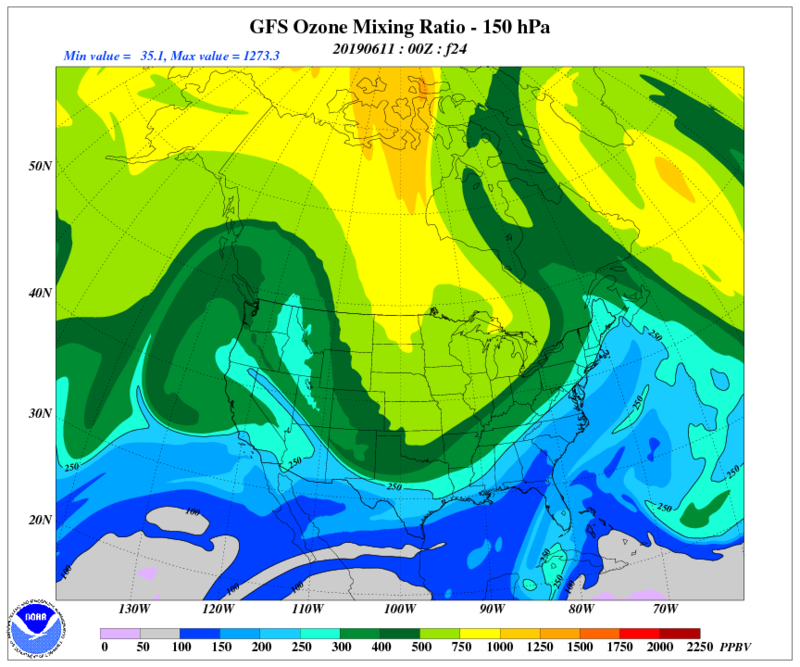 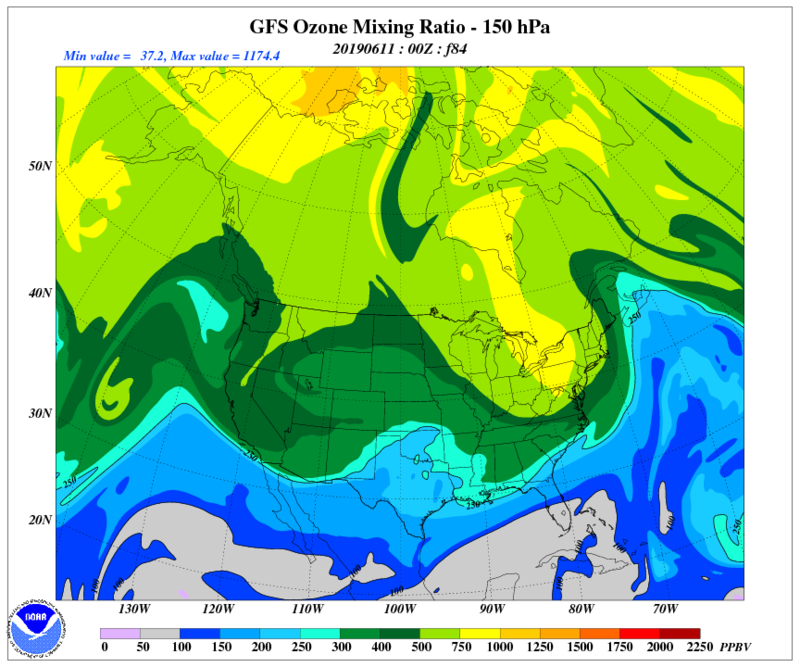 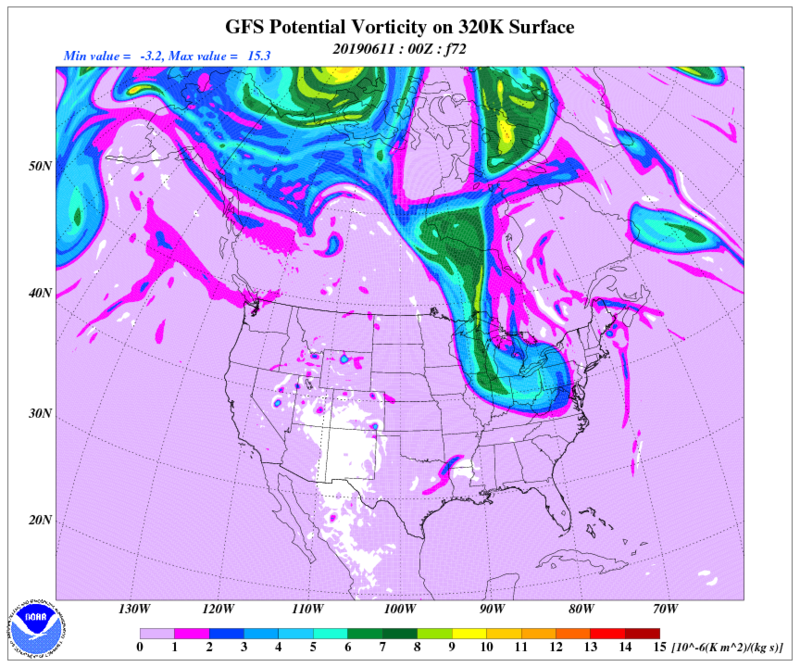 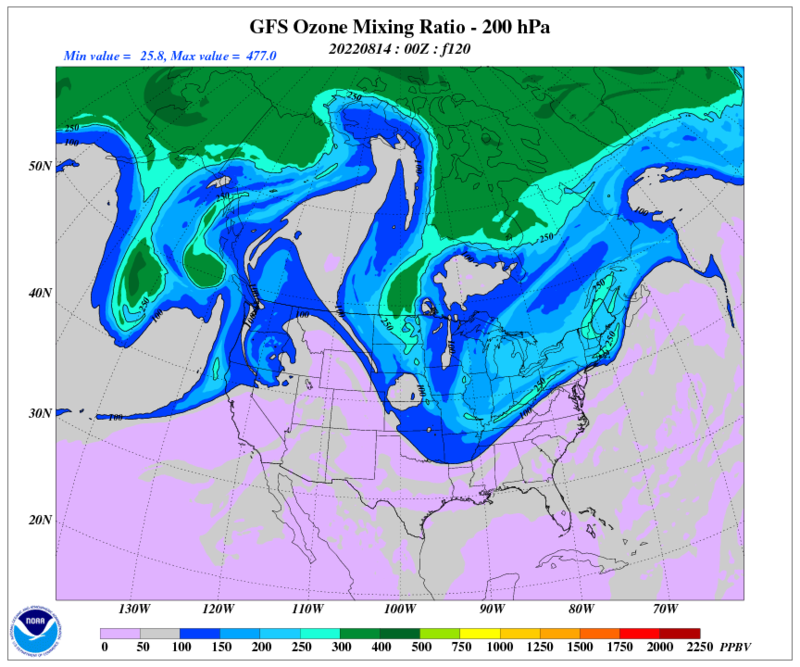 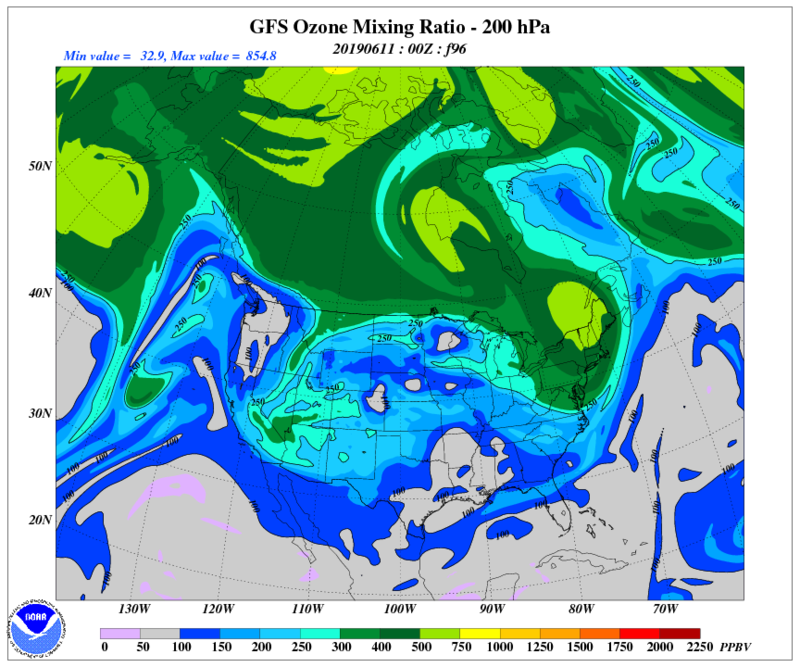 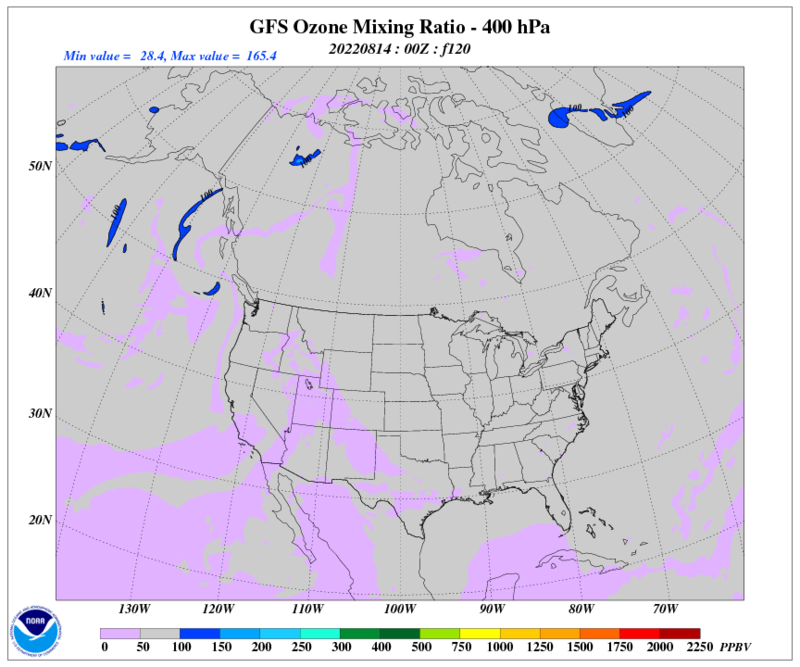 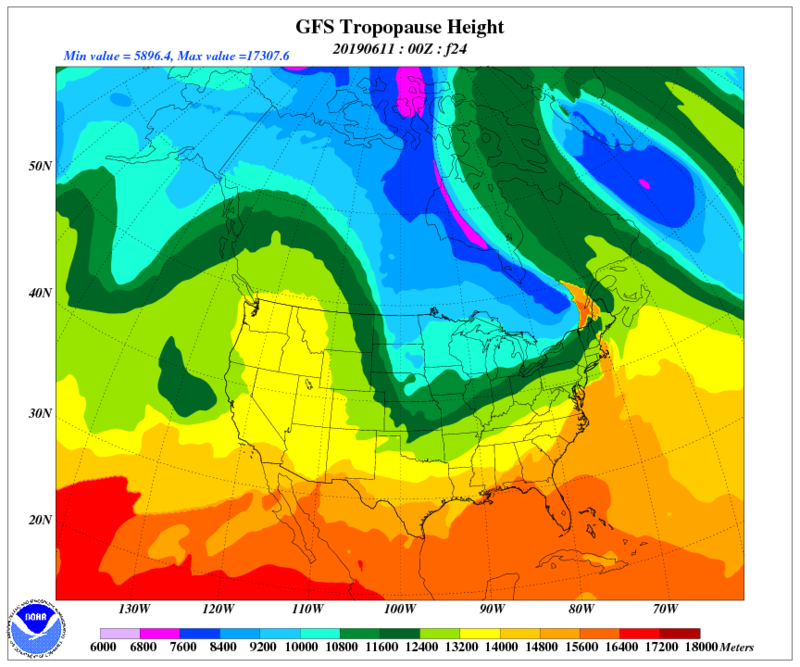 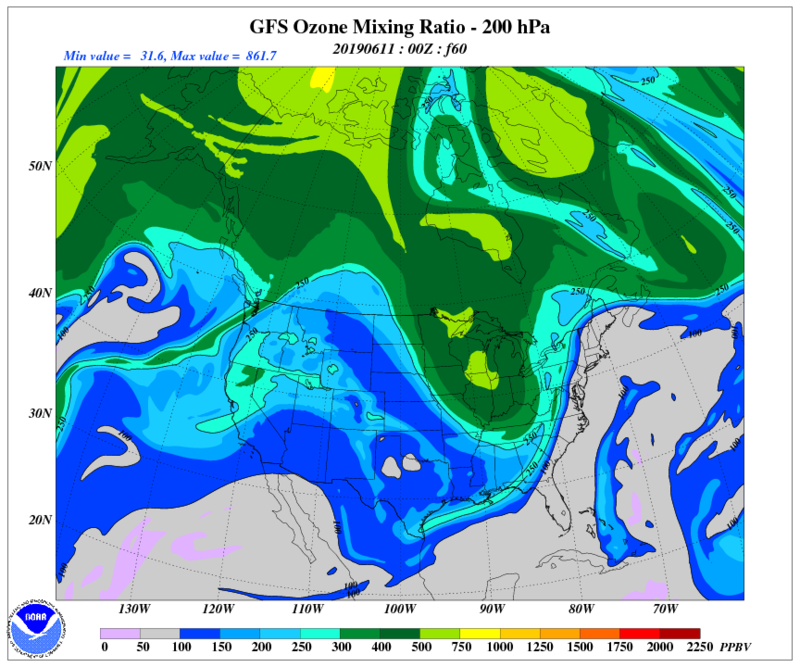 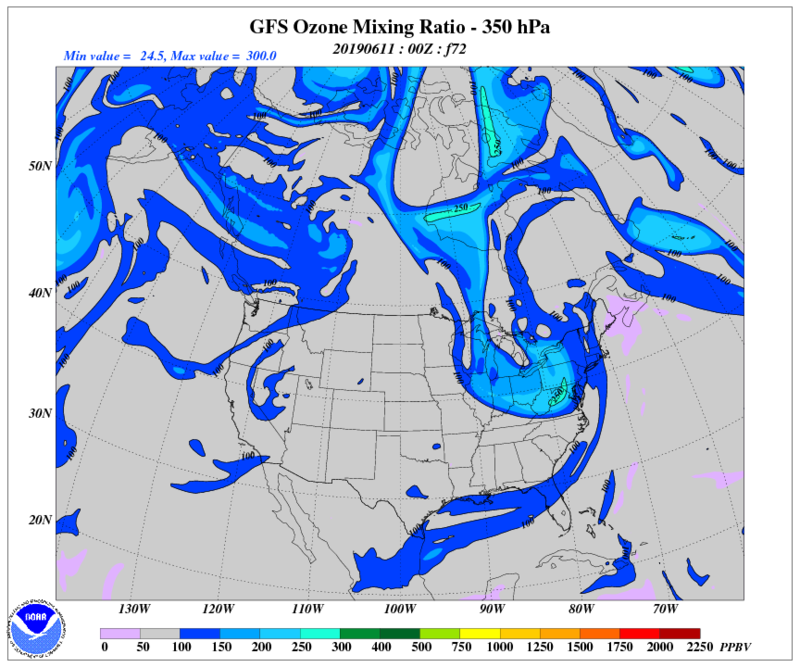 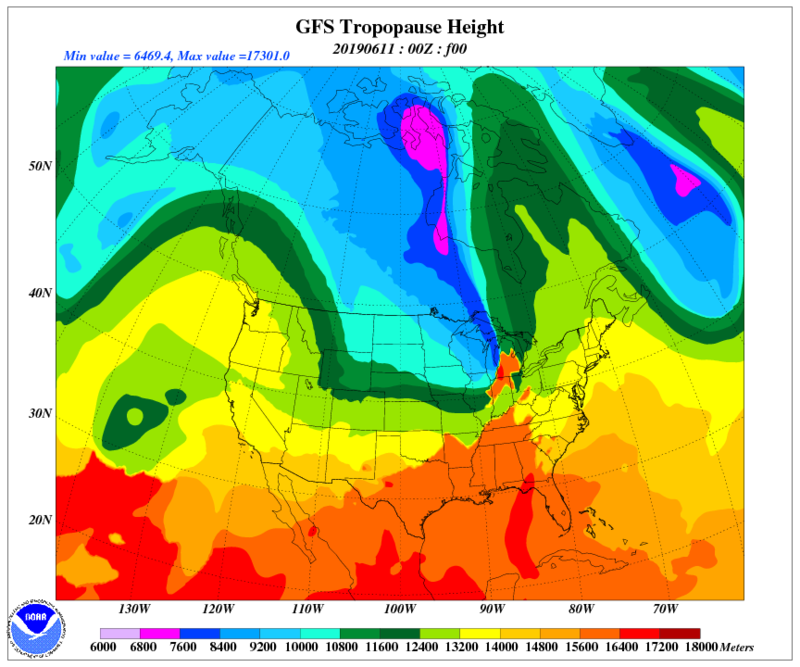 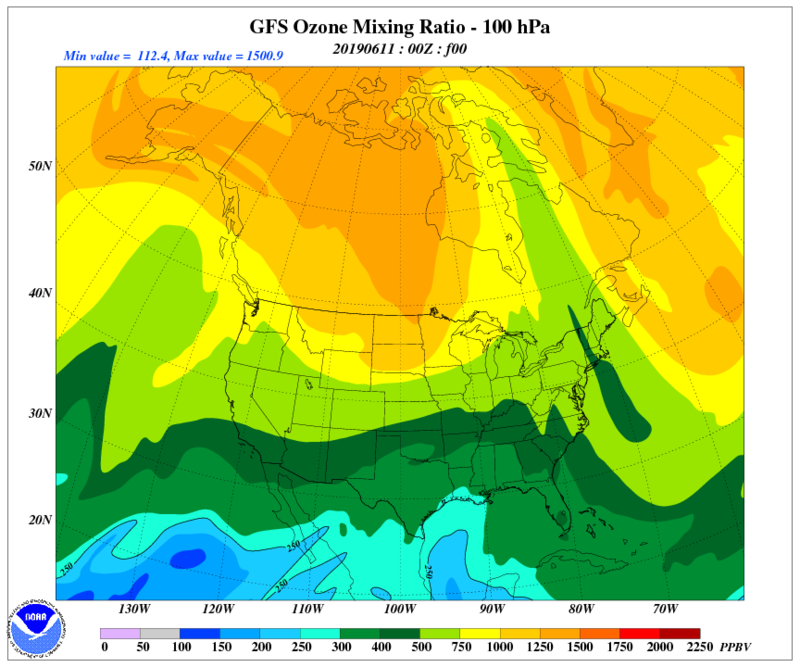 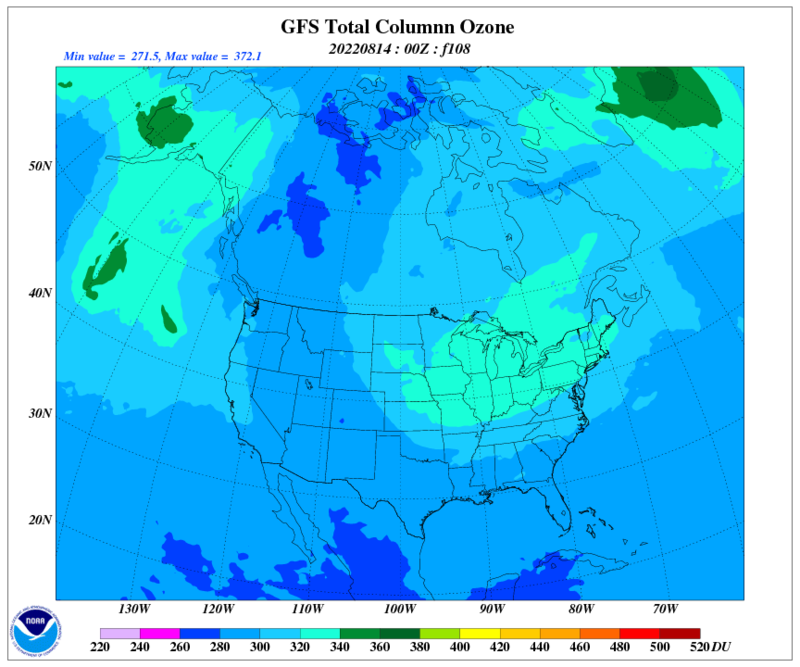 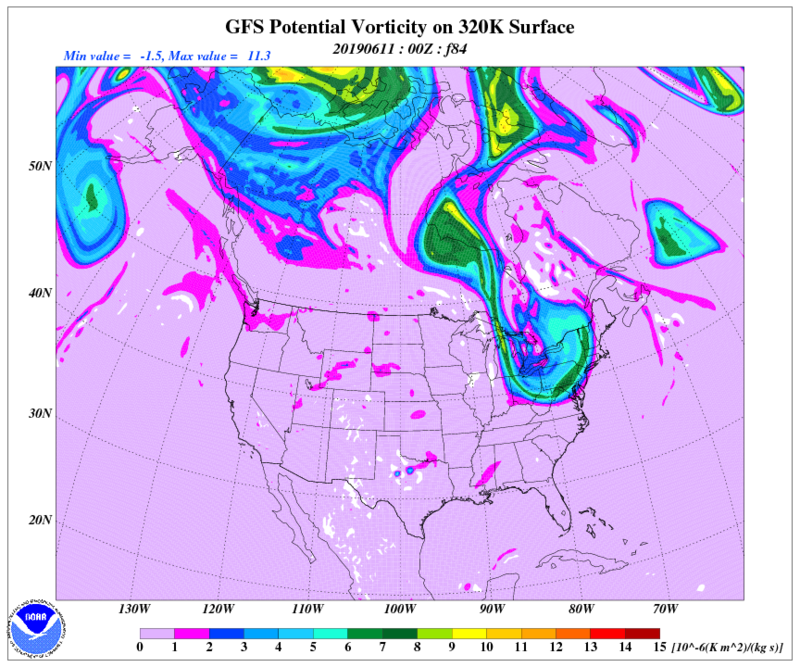 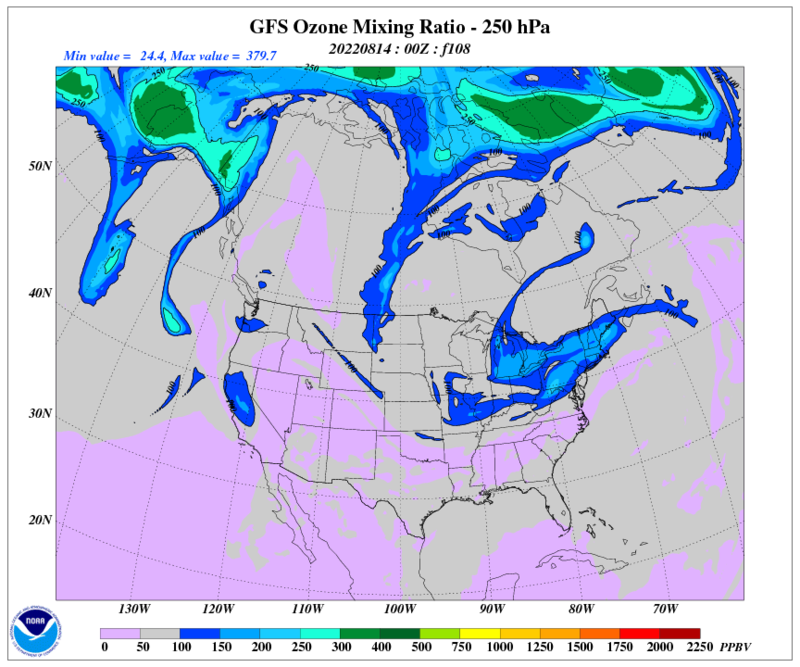 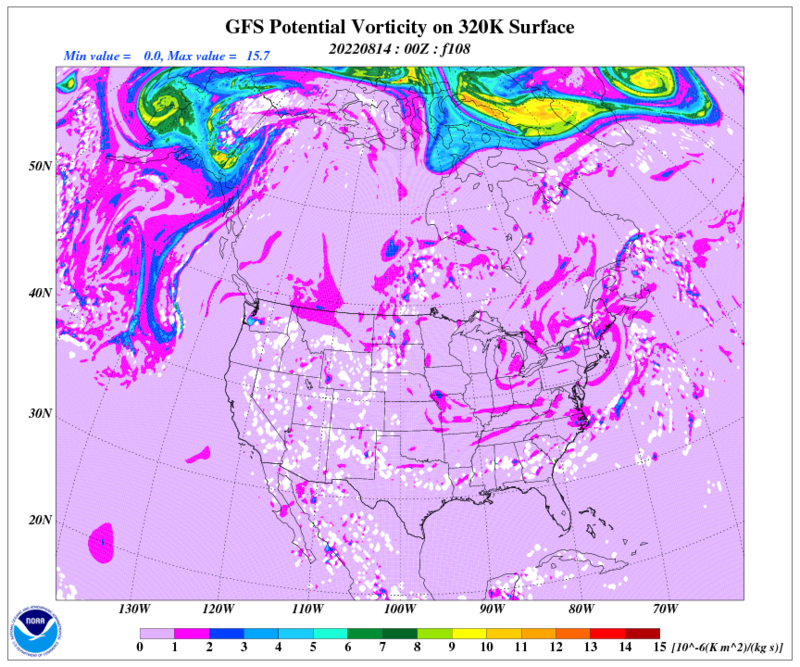 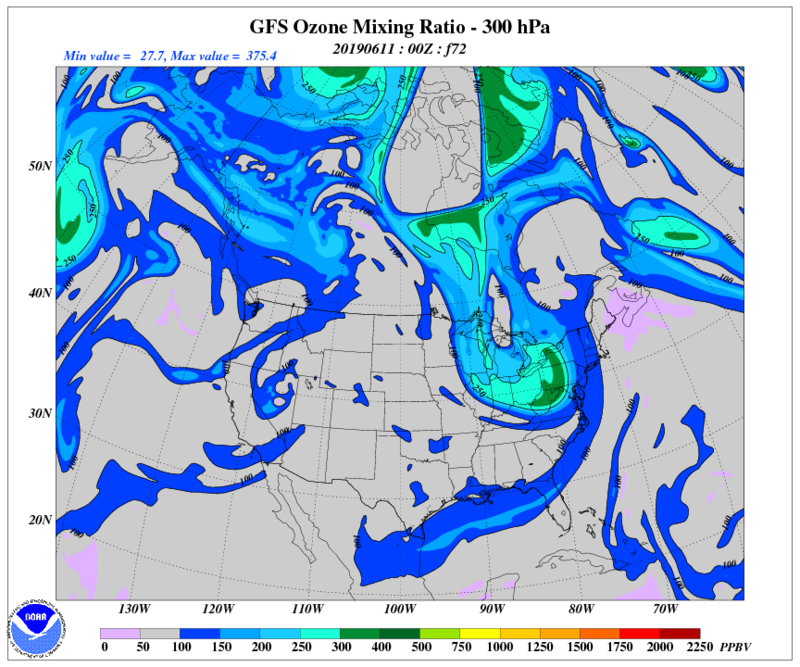 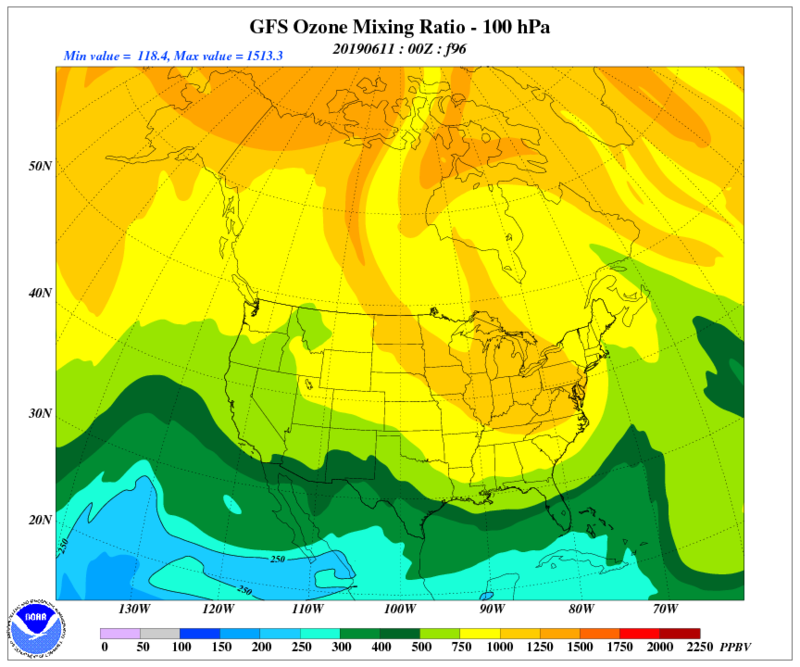 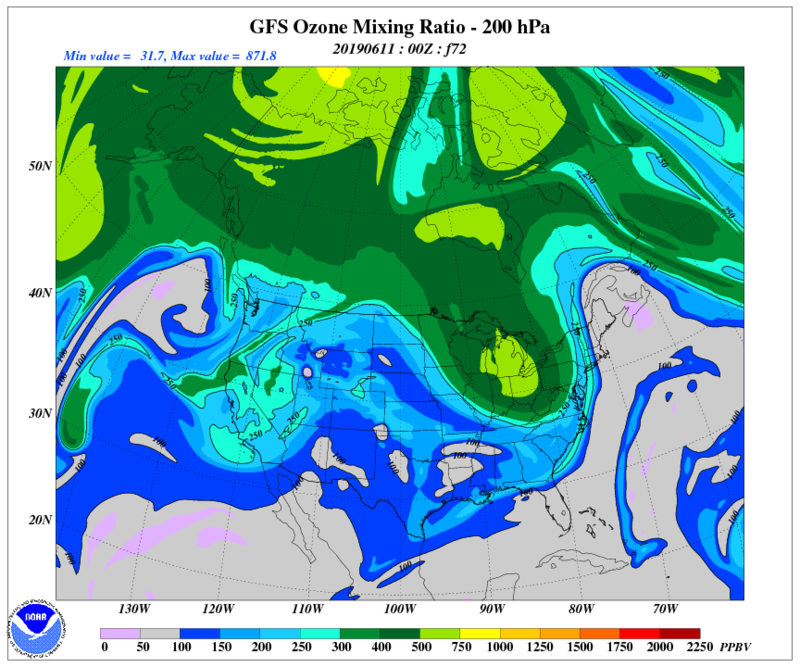 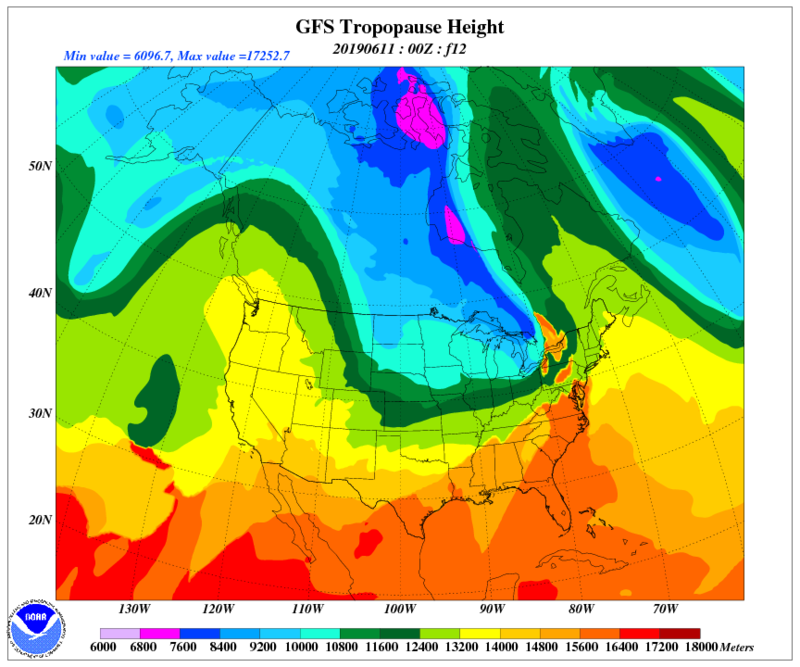 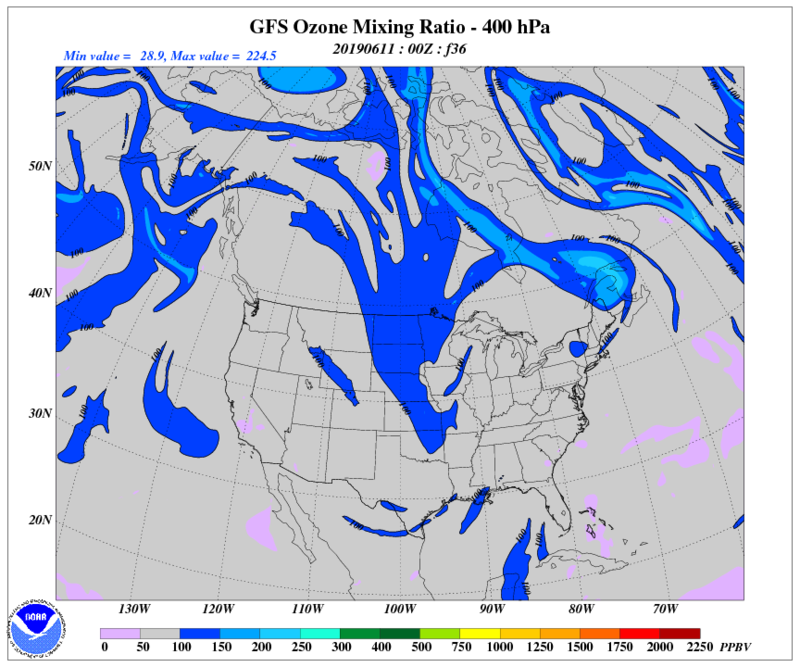 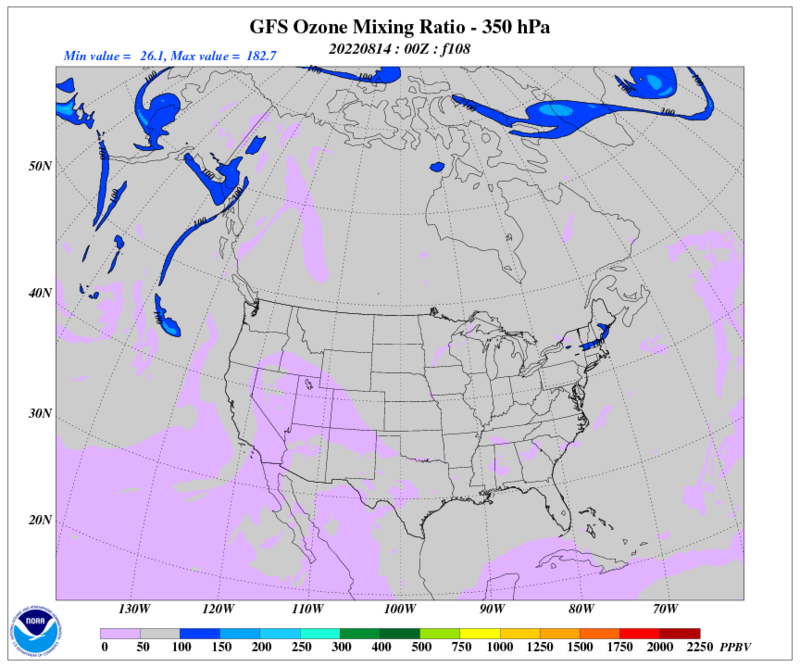 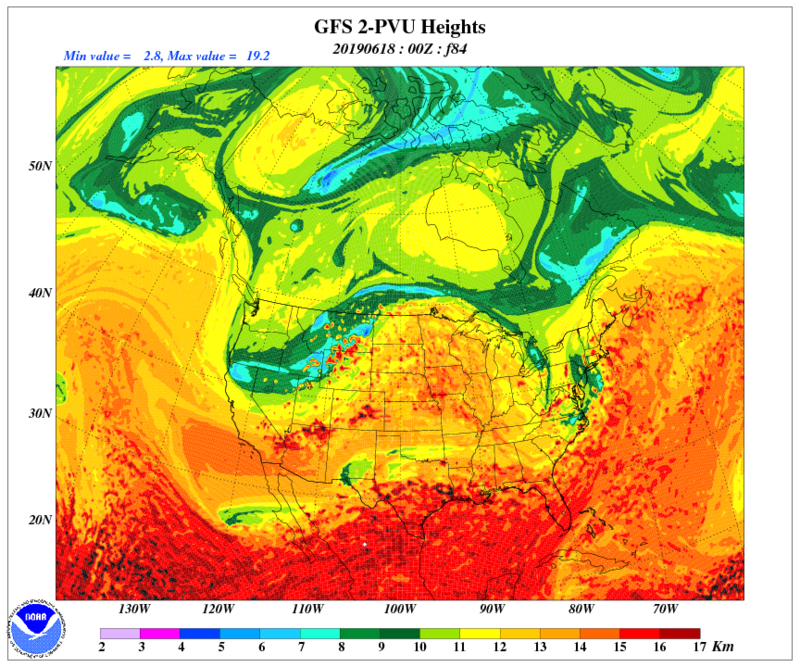 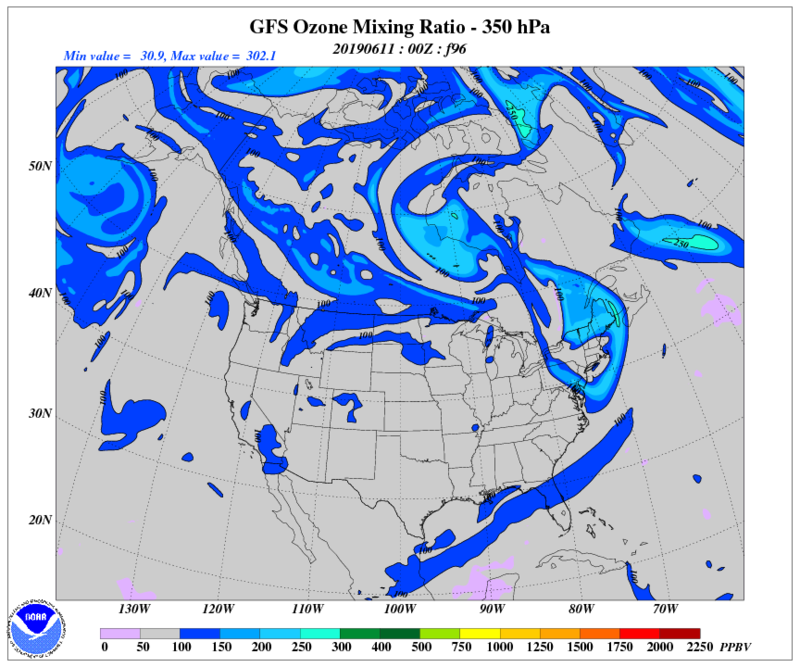 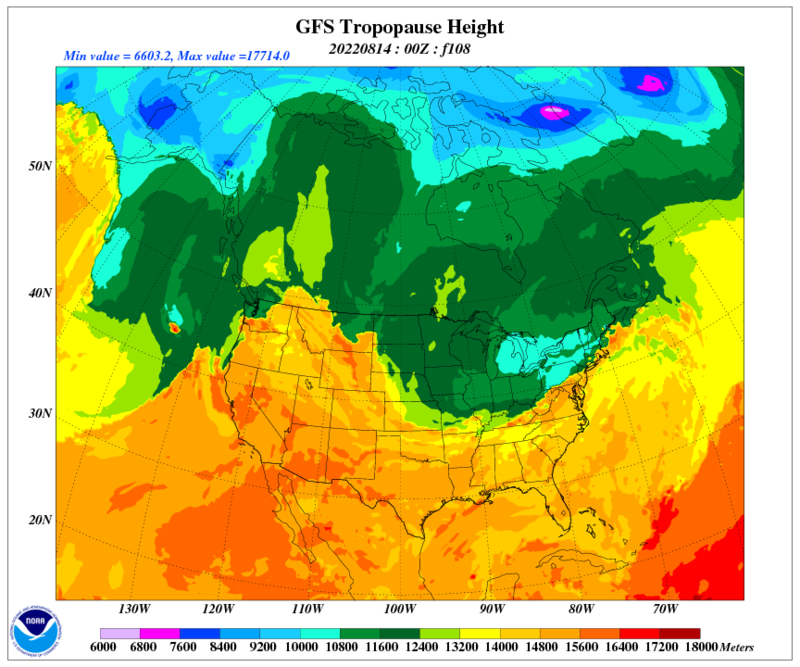 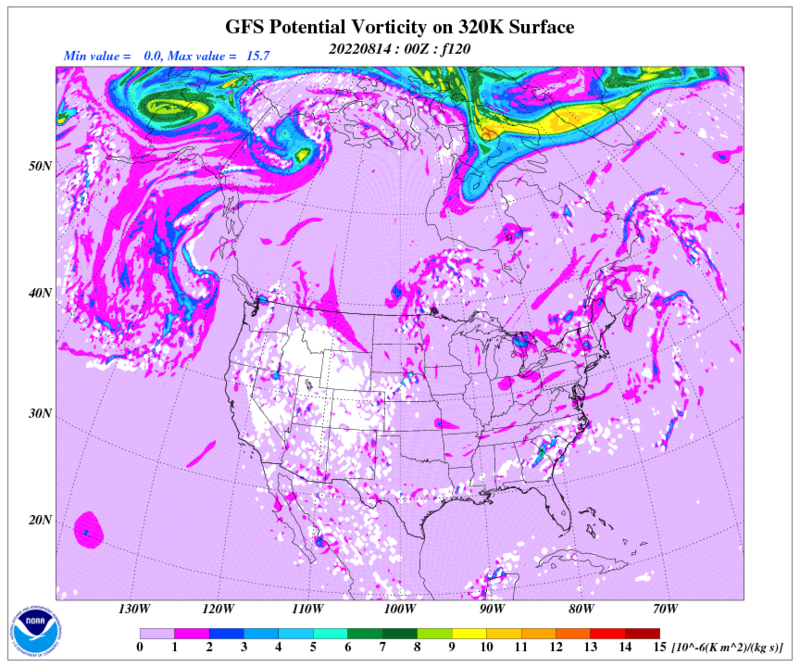 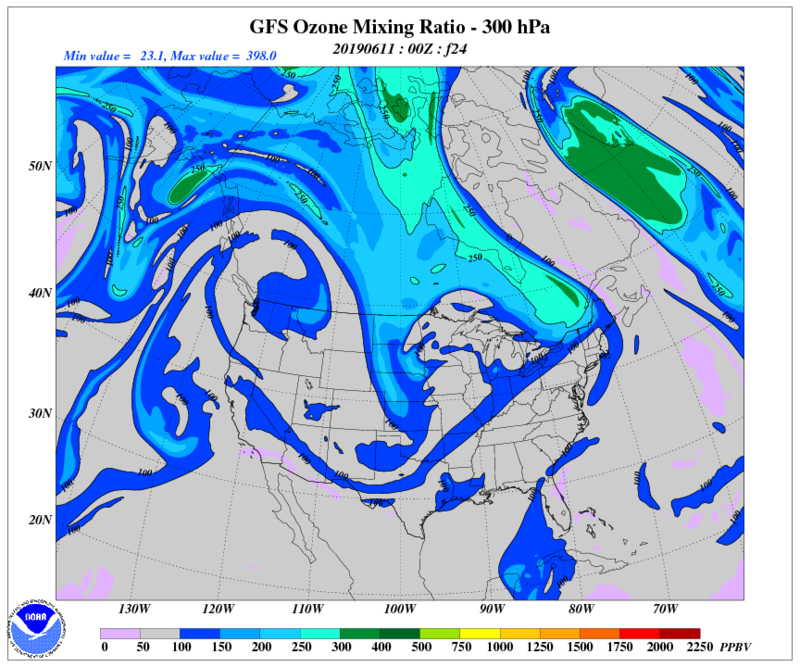 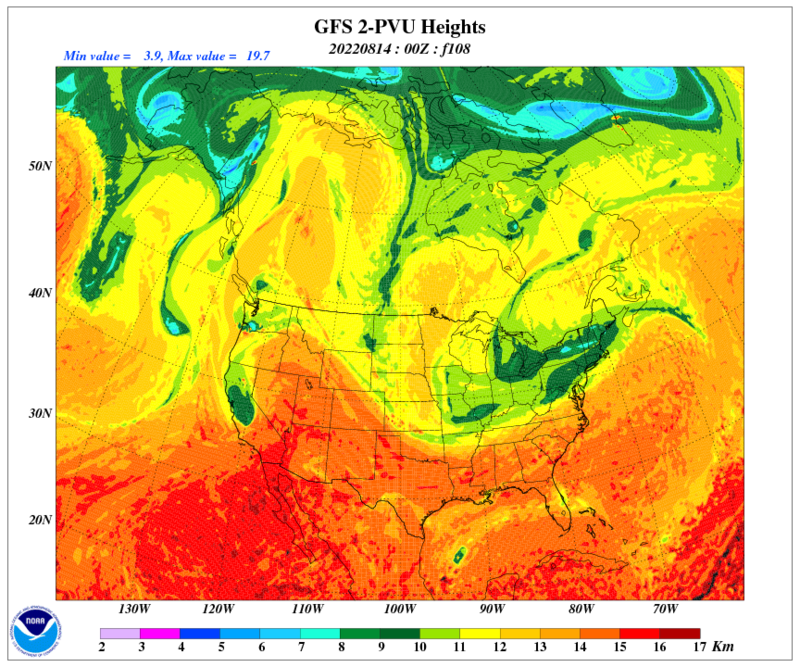 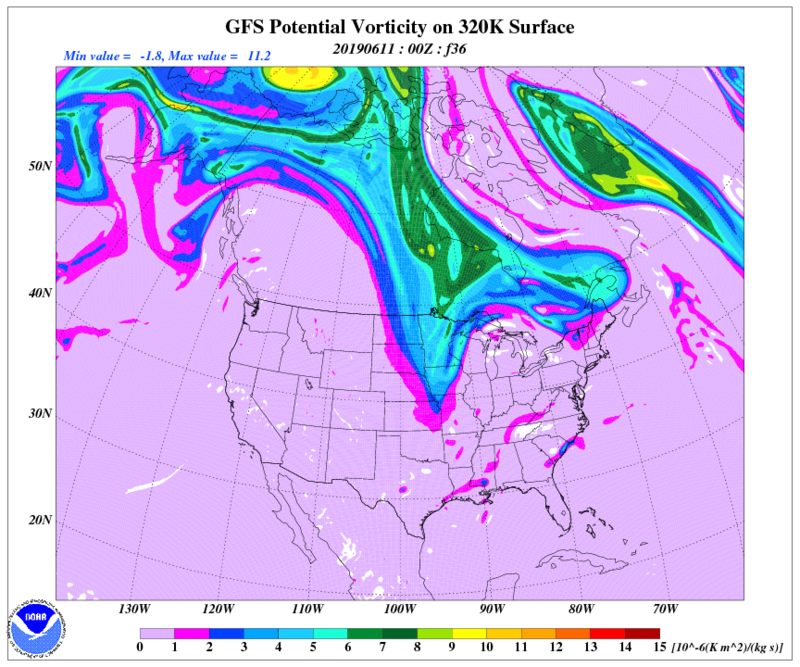 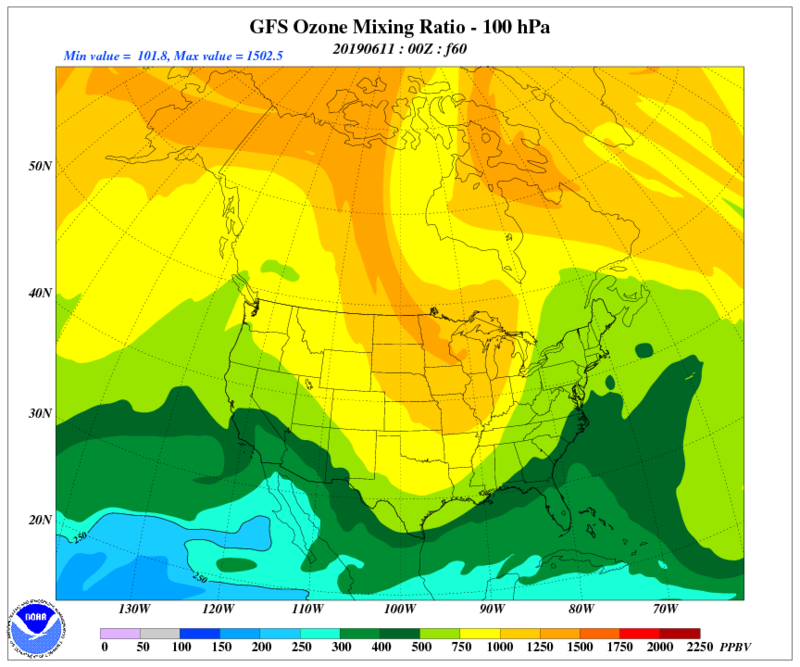 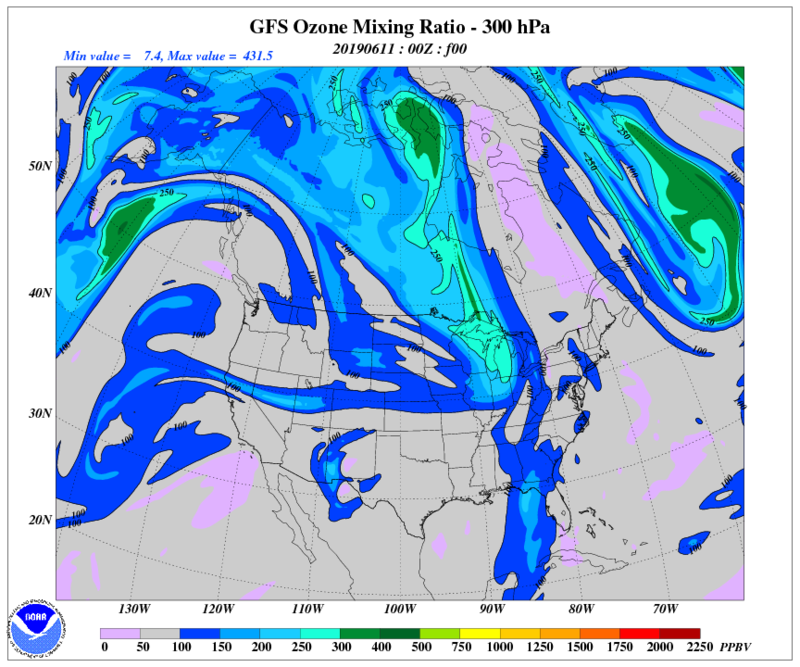 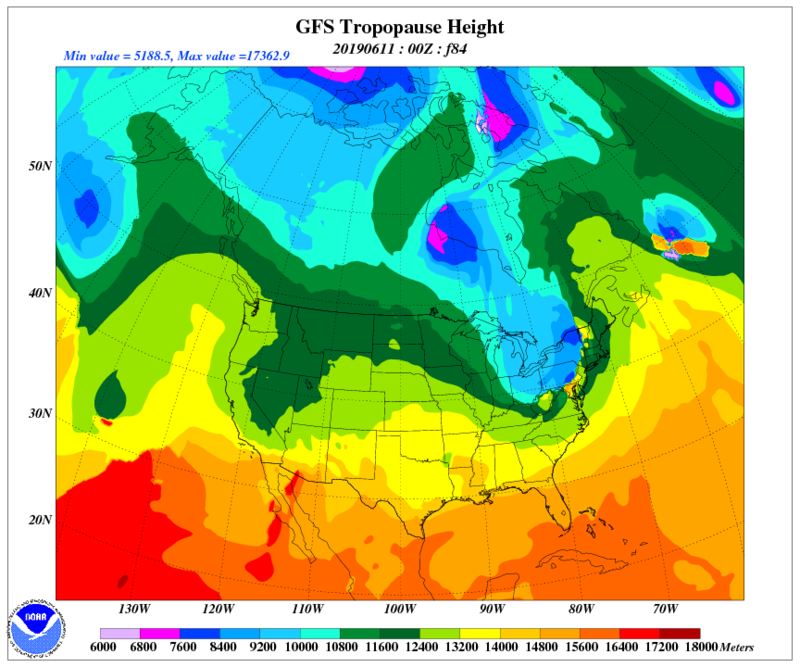 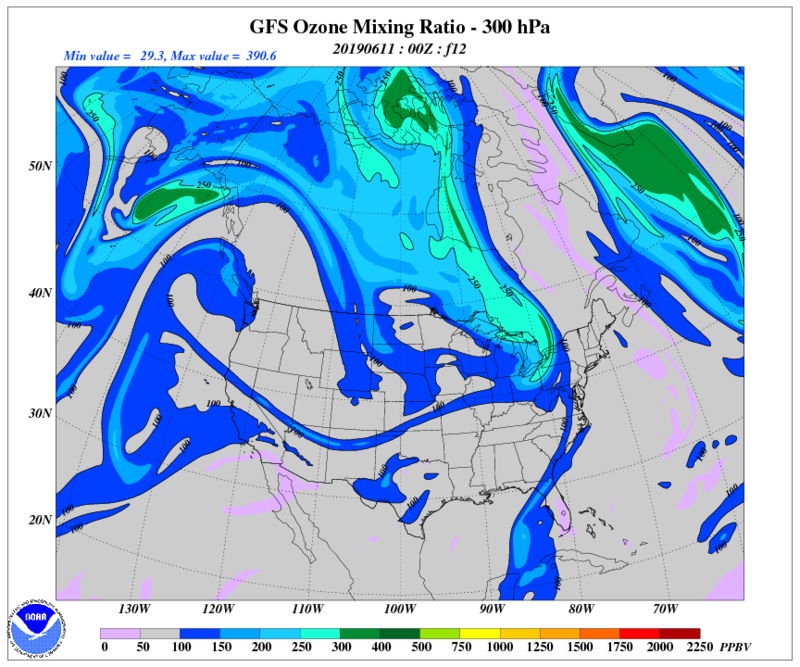 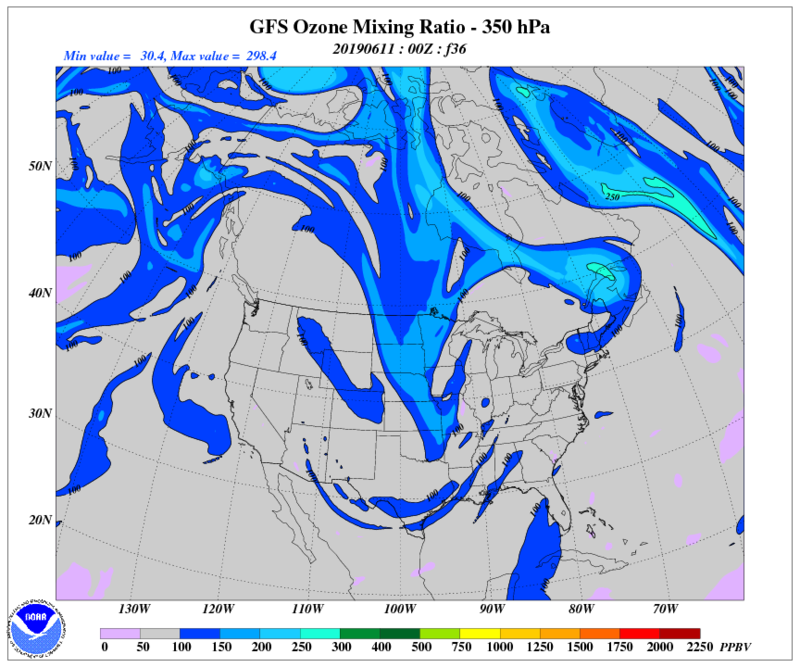 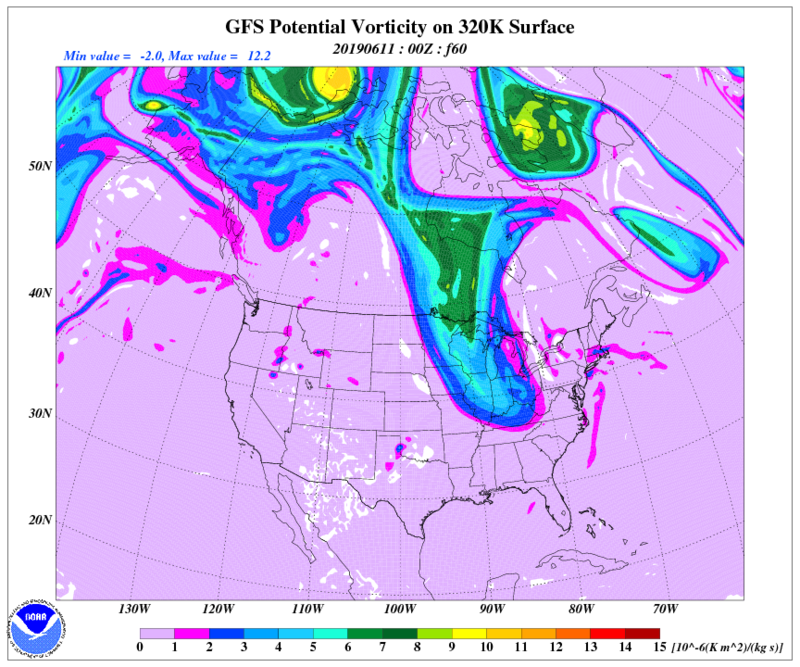 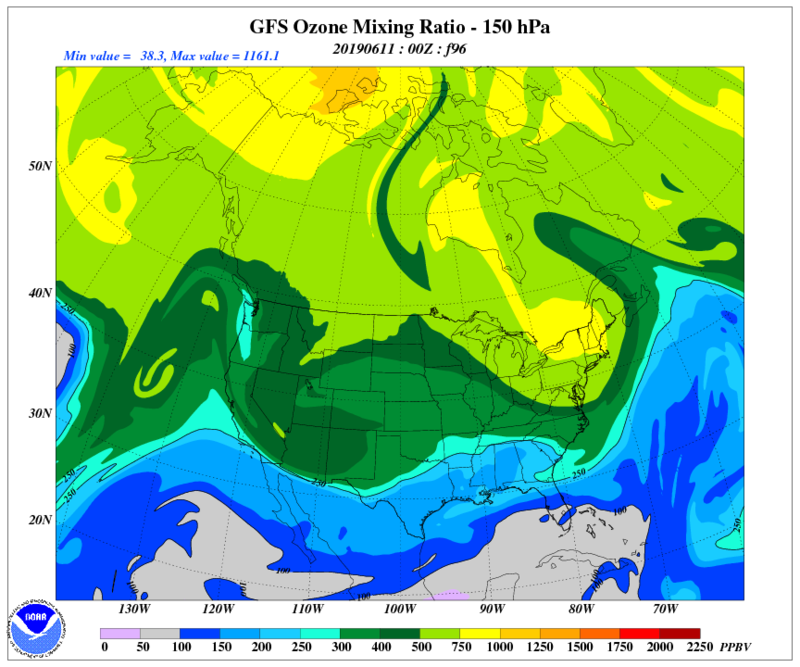 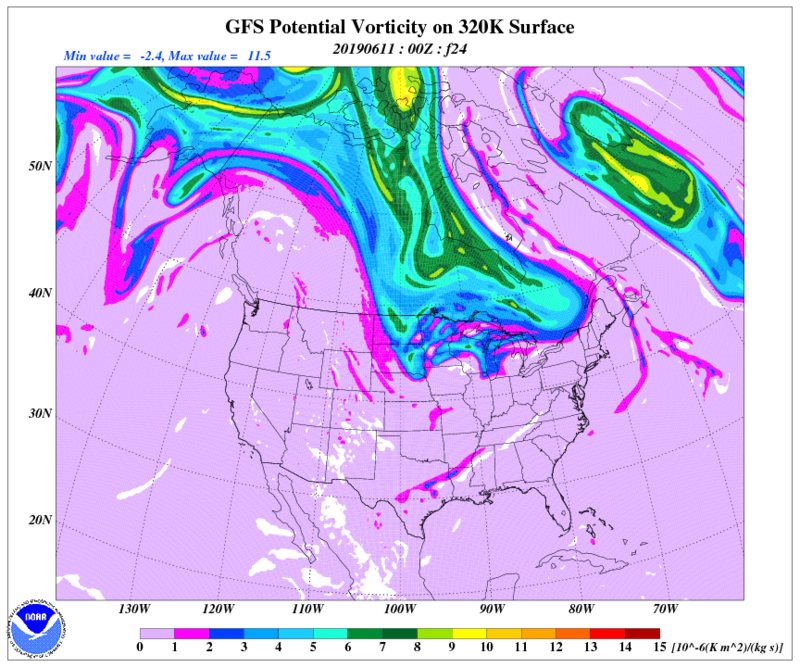 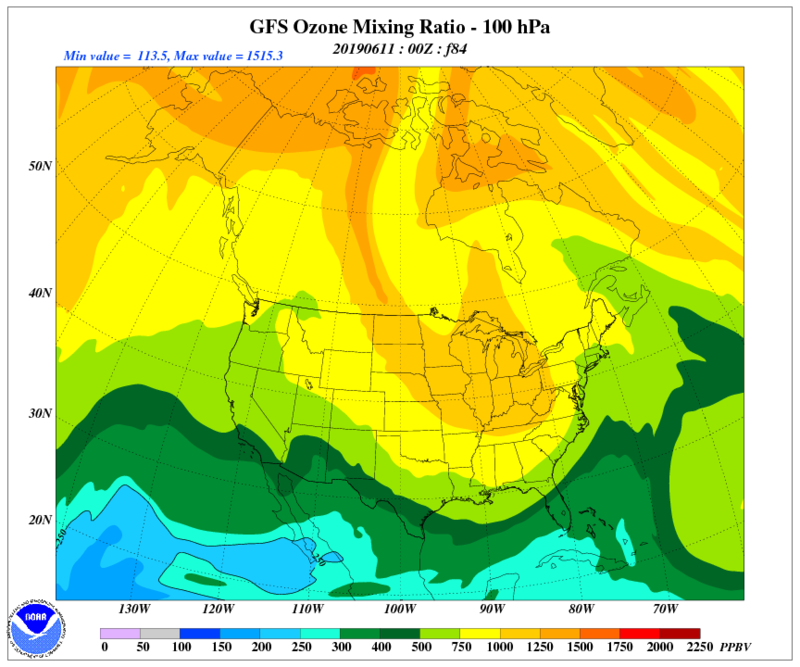 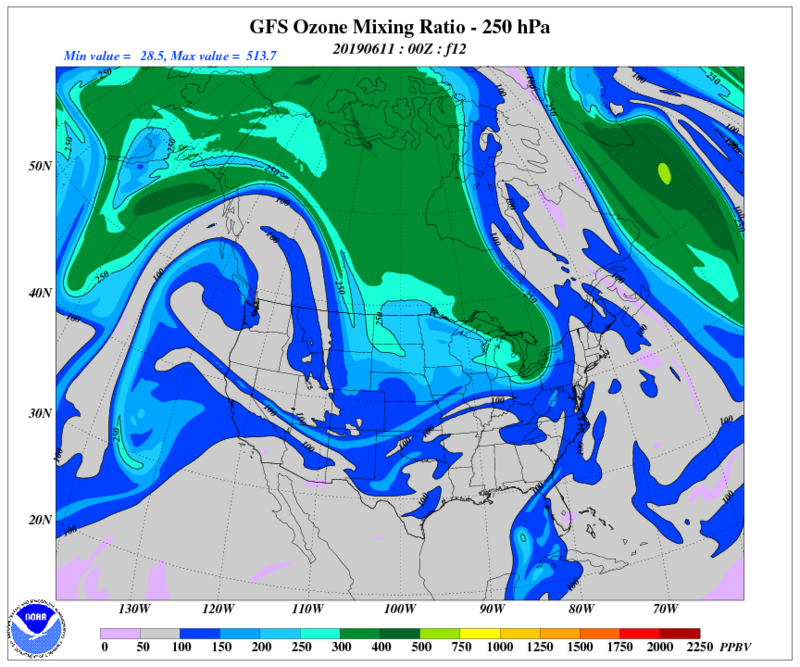 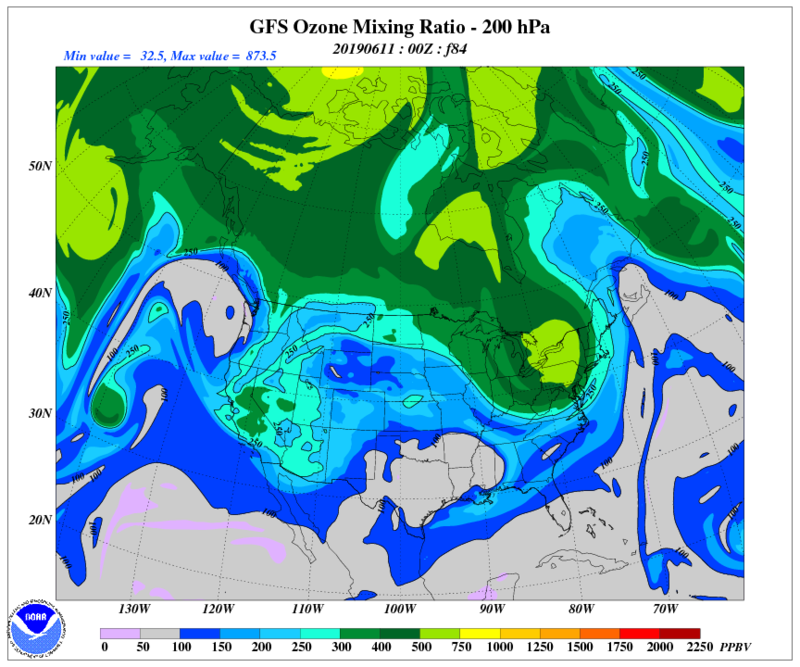 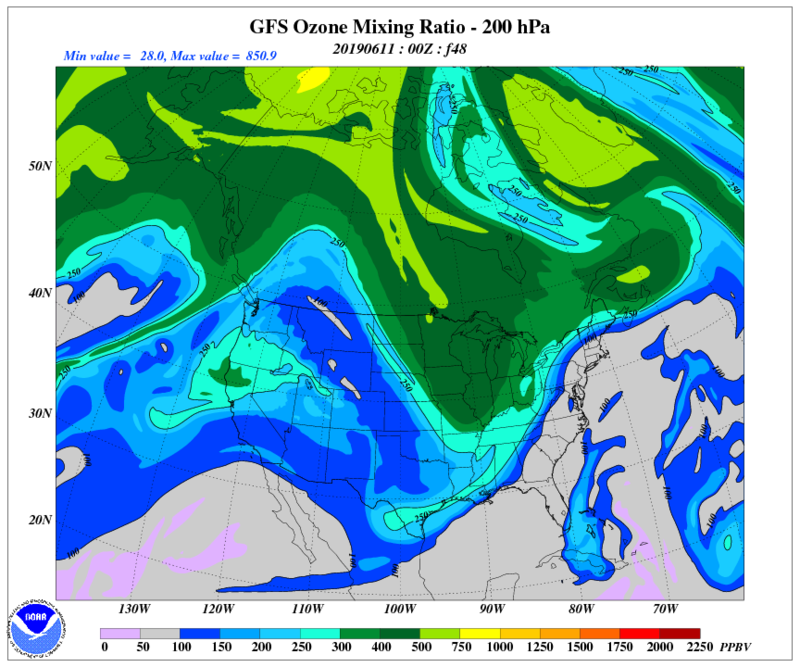 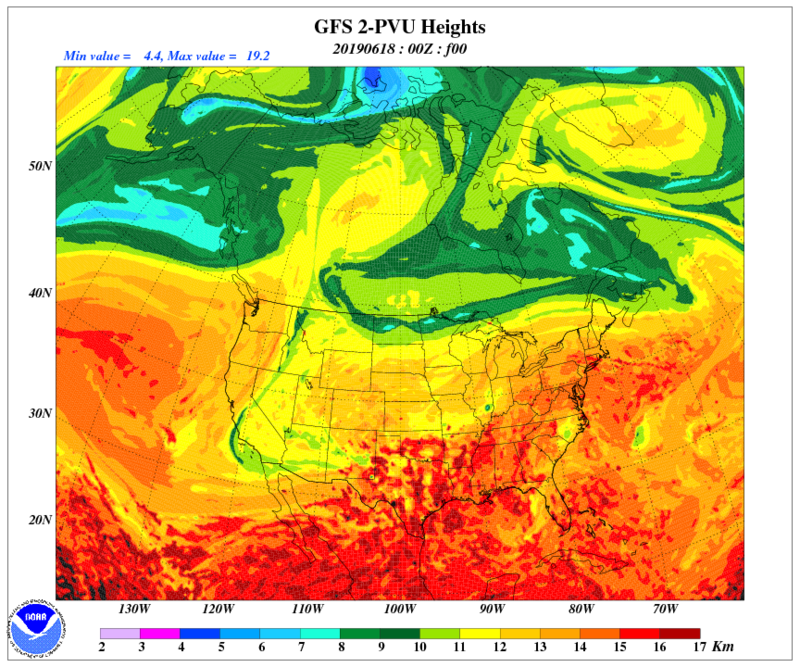 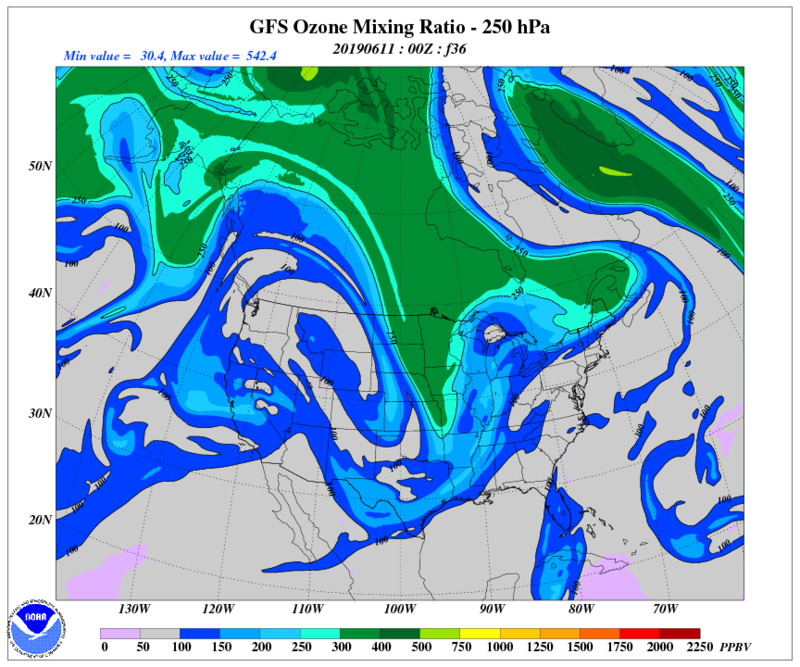 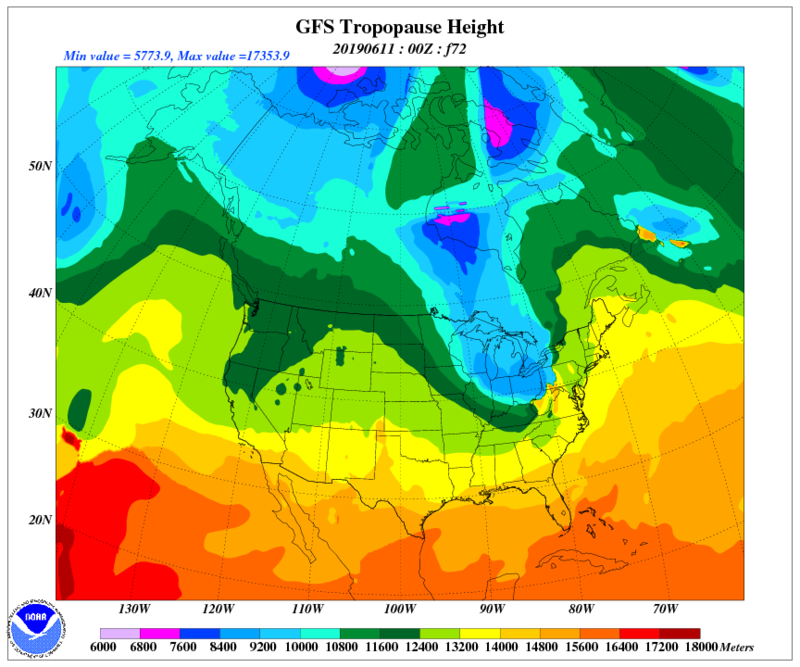 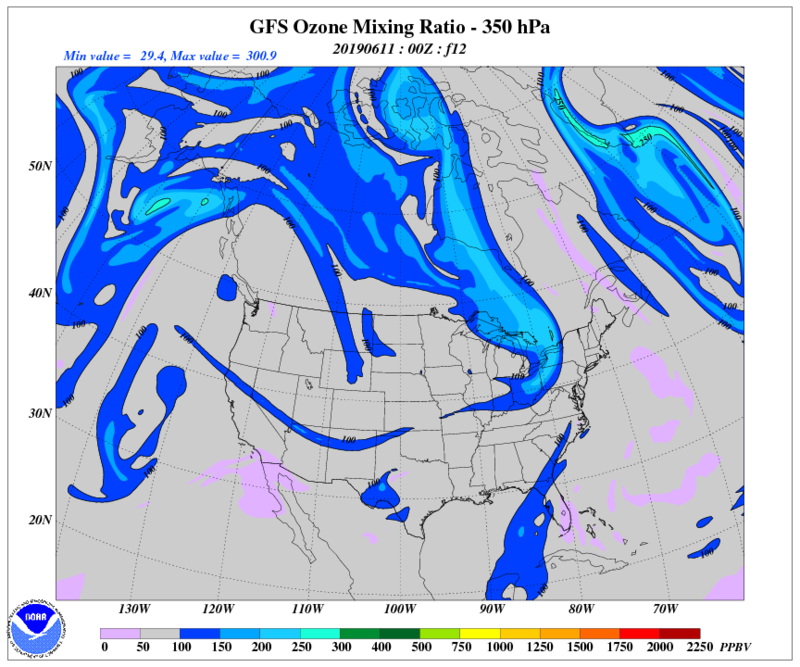 NCEP Global Forecast System model (GFS) analyses and forecasts of certain variables in the upper troposphere/lower stratosphere (UTLS) can identify current and future Stratospheric Intrusion events. 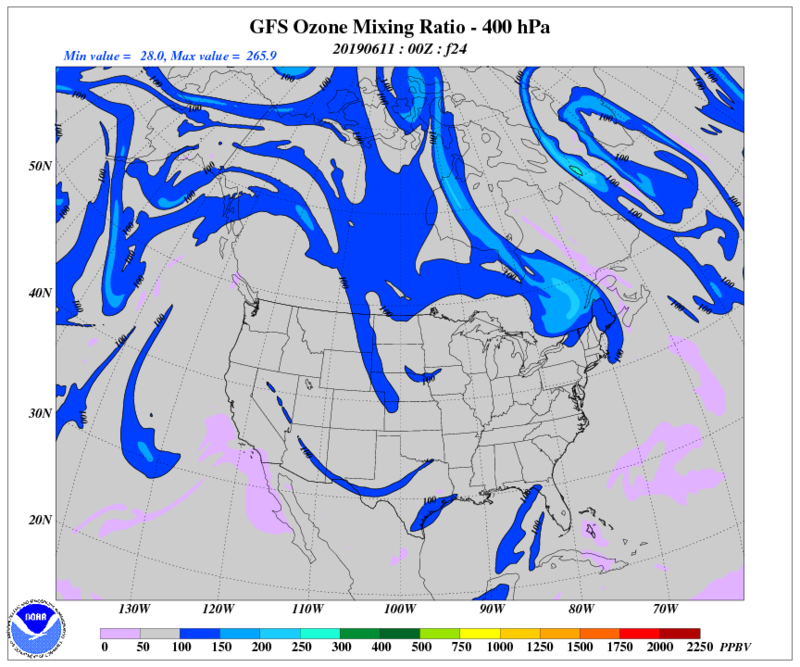 GFS analysis and forecast plots are generated each day from the 00Z cycle at 12 hour intervals out to 5 days (f120). 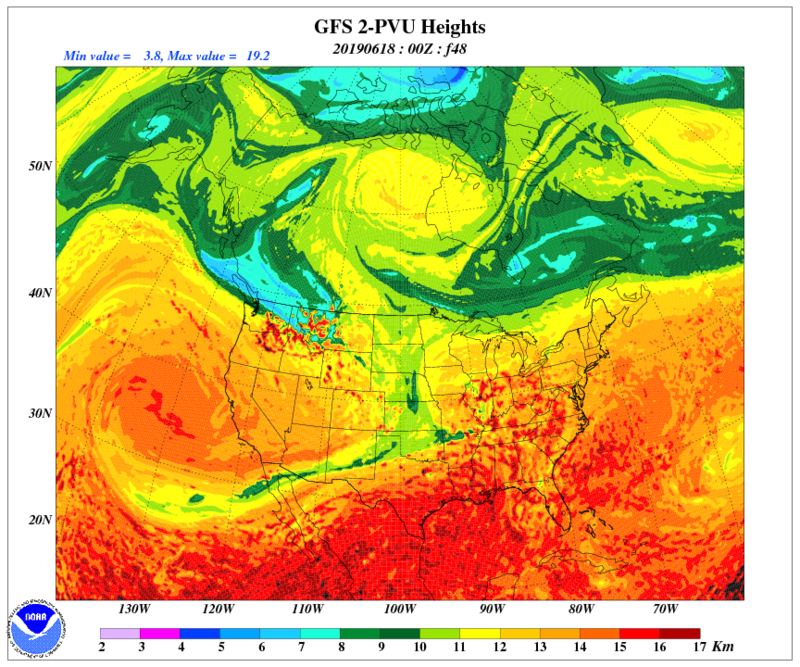 Stratospheric Intrusions can be identified as red colored areas on GOES RGB Air Mass imagery on the RAMMB/CIRA "SLIDER" web page.